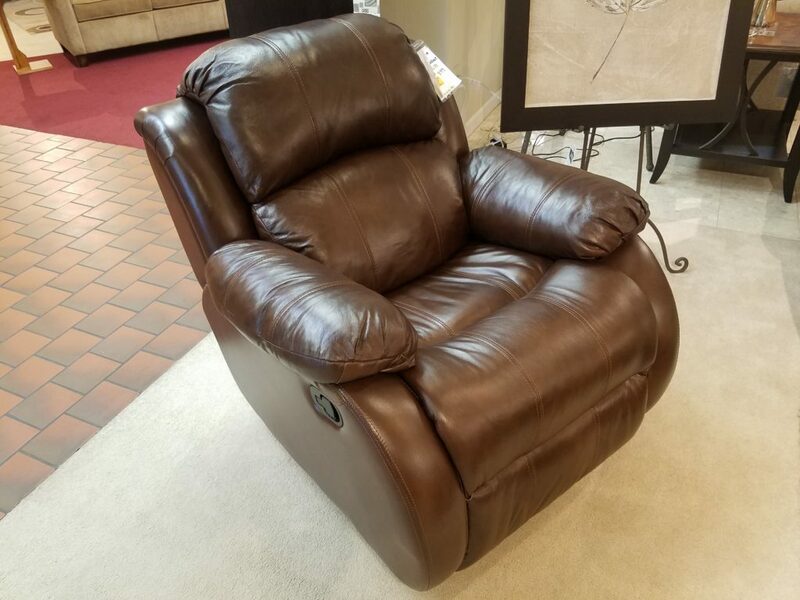 Best Tyrp Swivel Glide Recliner, was $729 now $529. 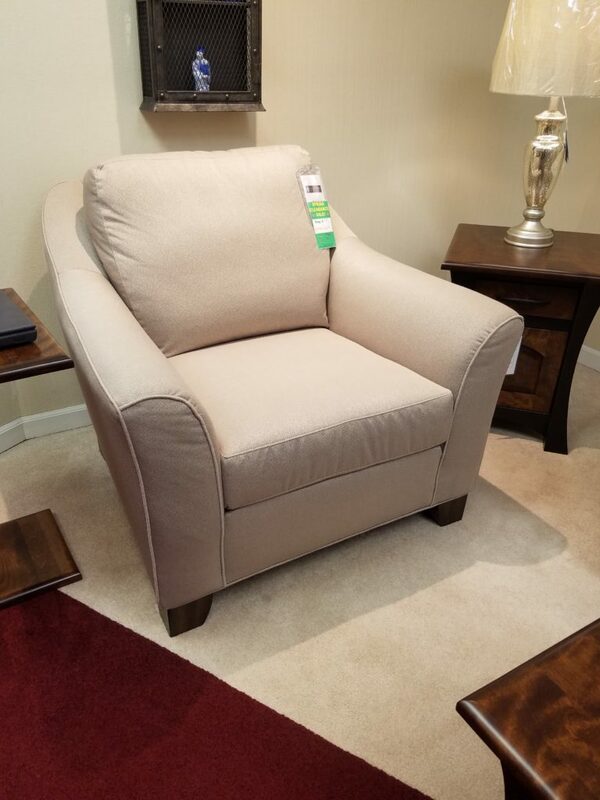 Lancer 6701 Chair was $799 now $599. 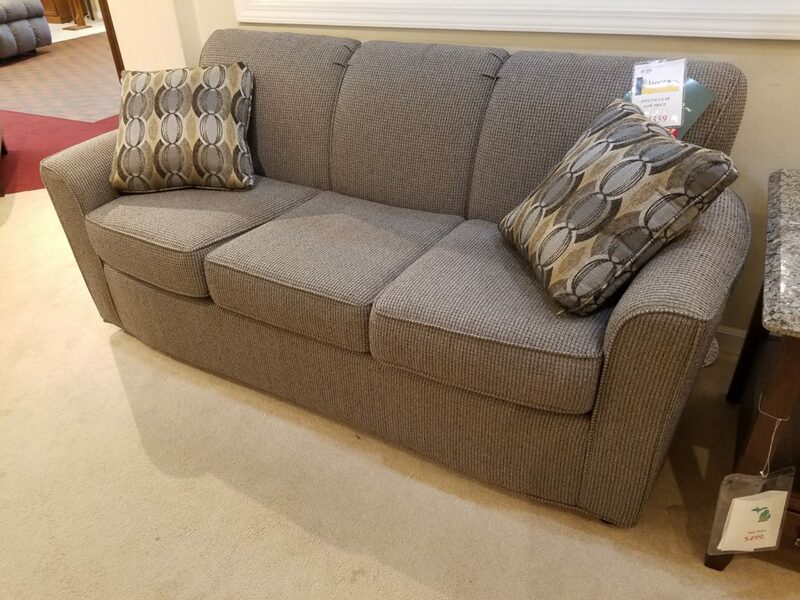 Lancer 2503 Queen Sleeper - was $1329 now $999. 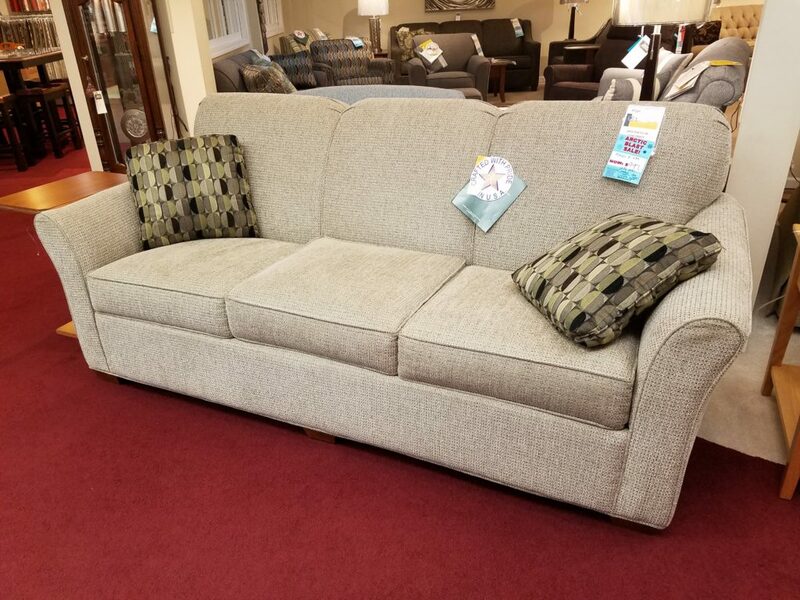 Lancer 2303 Queen Sleeper - was $1329 now $999. 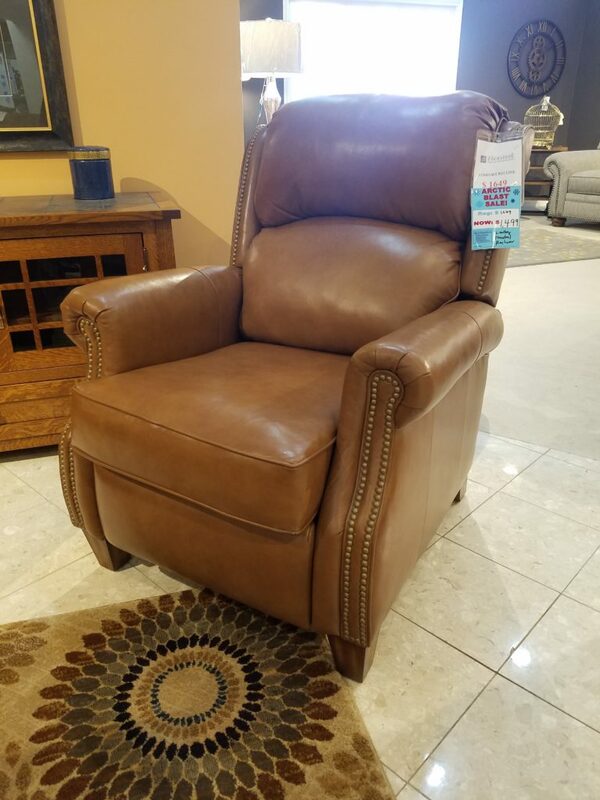 Best Joanna Leather Recliner - was $919 now $819. 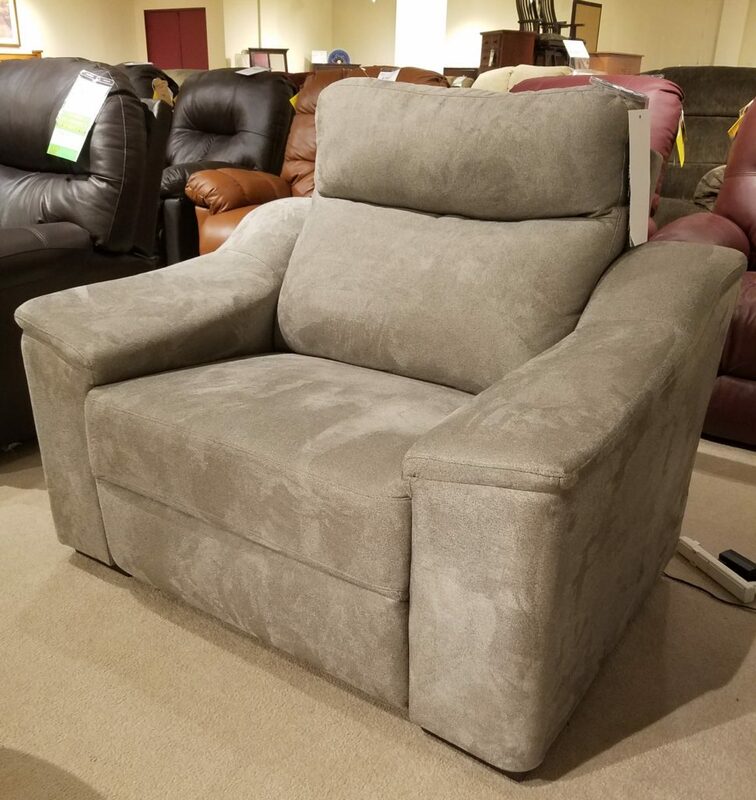 Best Felicia Rocker Recliner $569 now $469. 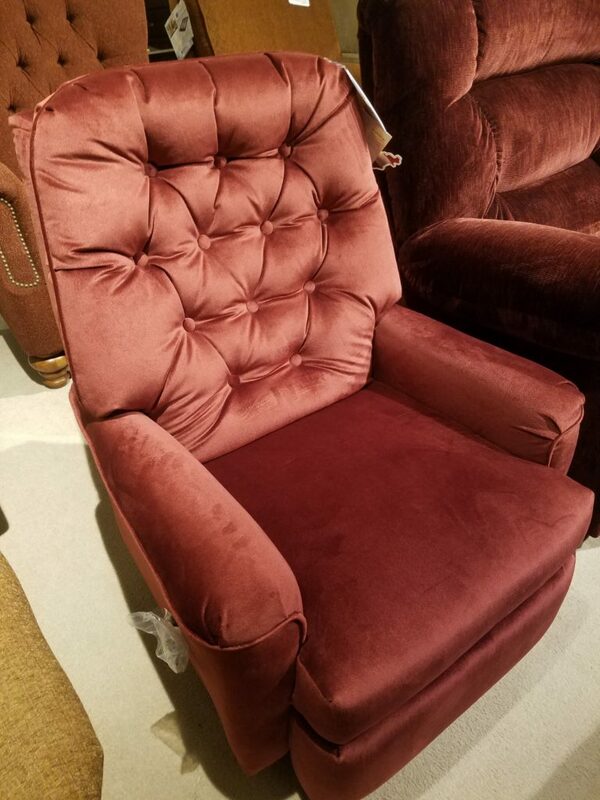 Best Zaynah Burgundy Leather Recliner - was $639 now $539. 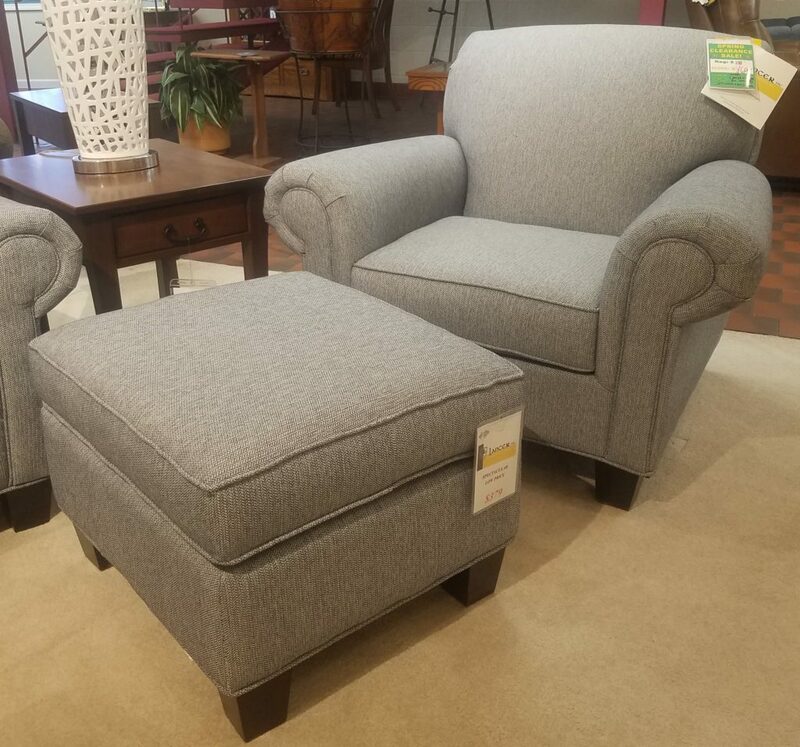 Lancer 5710 Chair and Ottoman was $1188 now $869. 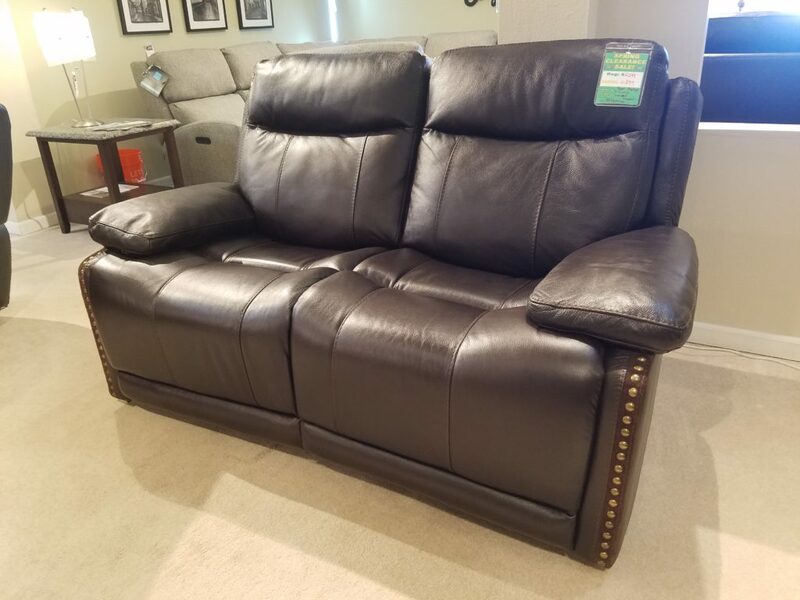 Clearance, was $529 now $429. Clearance. was $1129 now $734. 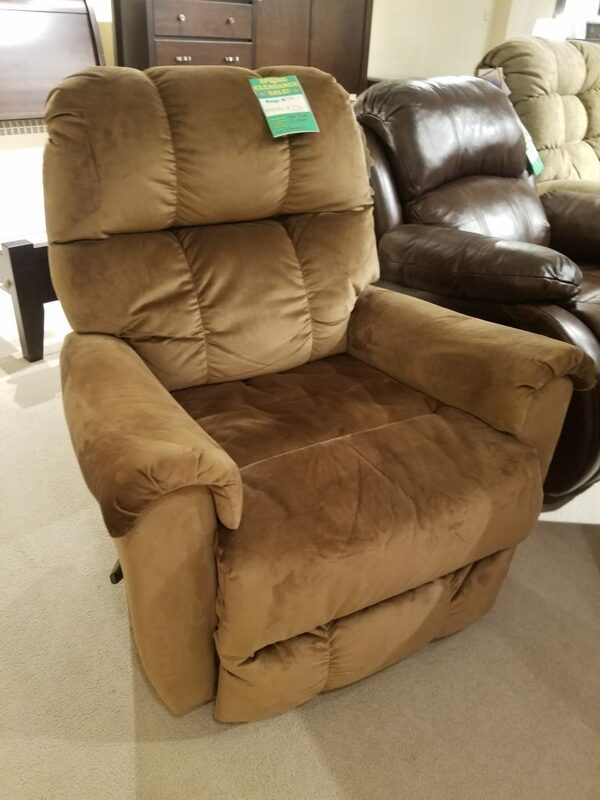 Best Brinley Recliner - $479. 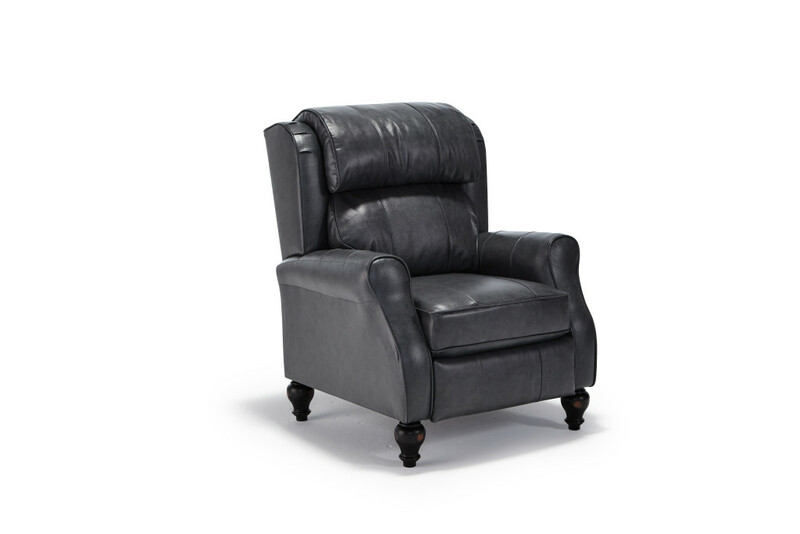 Best Power Headrest Recliner - $615. 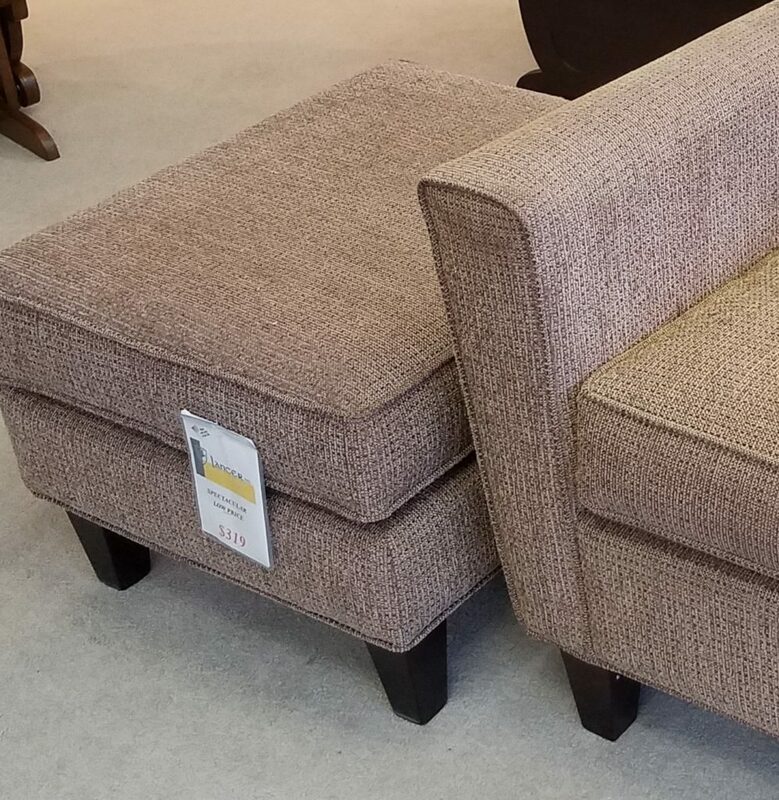 Flexsteel Zevon Sofa and Chair - Sofa: $1179. 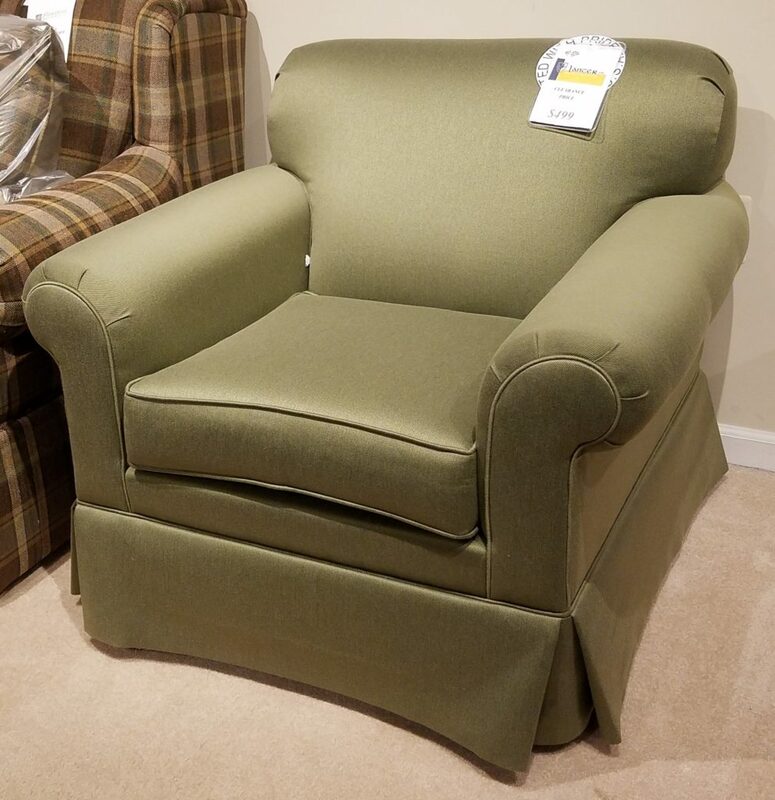 Lancer Green Chair - $510. 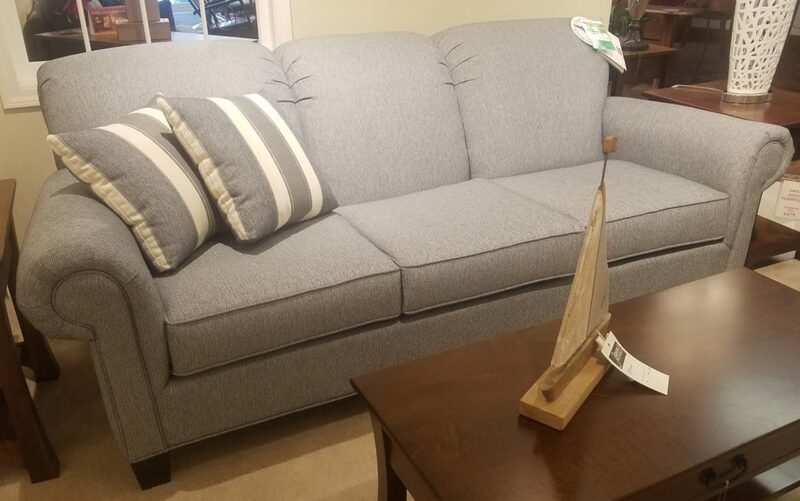 Lancer Gray Sofa - $1155. REDUCED AGAIN! 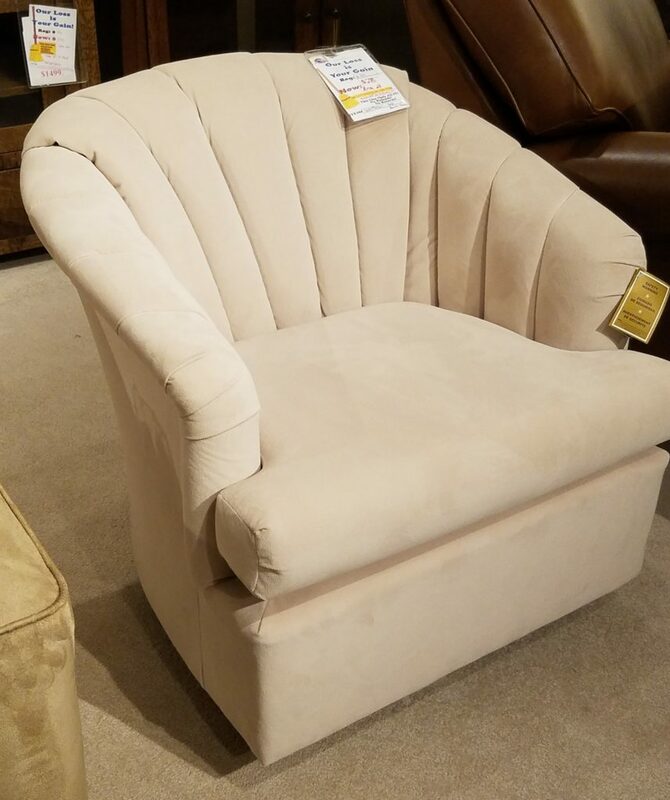 NOW $1149. 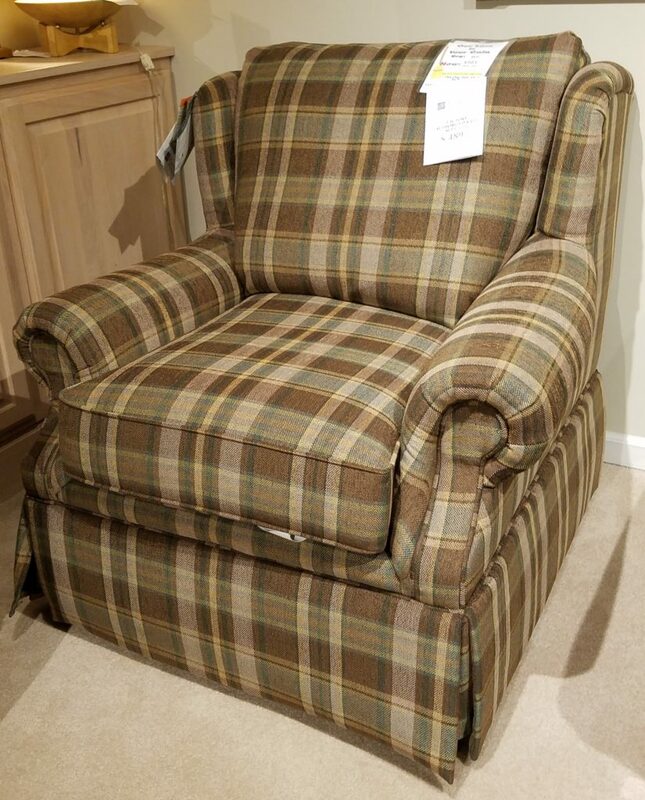 Lancer Swiver Rocker - $721. 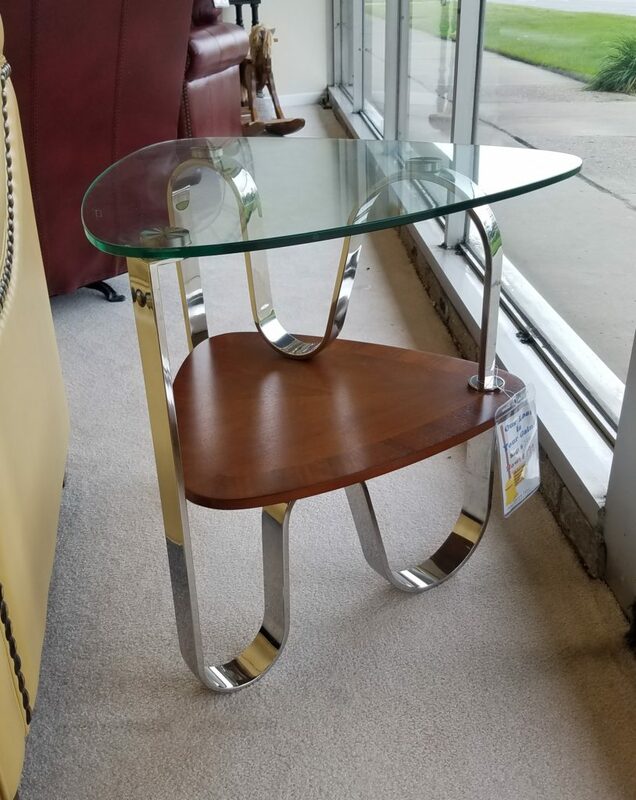 Triangle Chrome Glass End Table - $199. 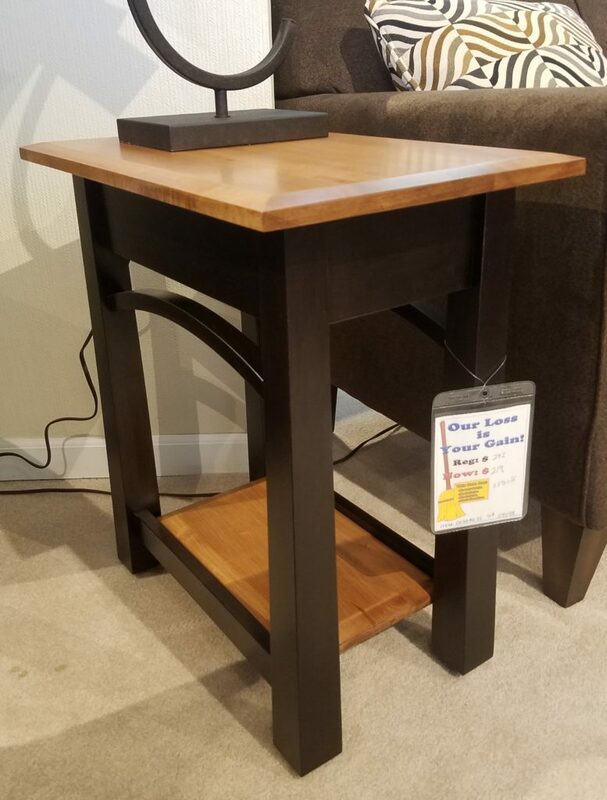 Slate End Table - $259. REDUCED AGAIN! 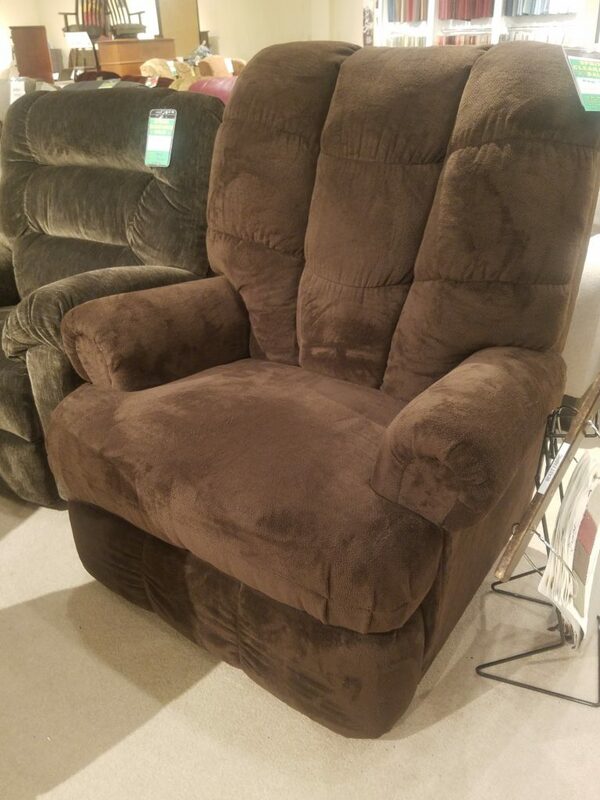 NOW $219! 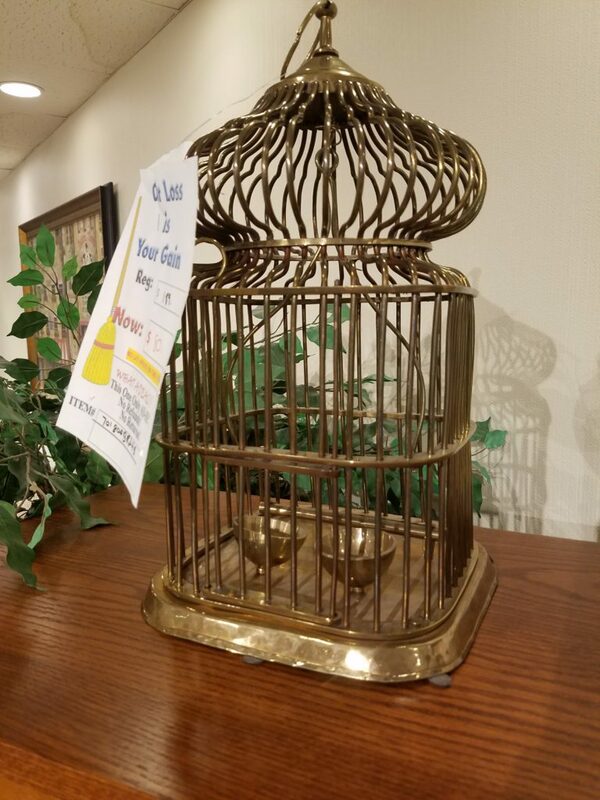 Brass Bird Cage - $80. 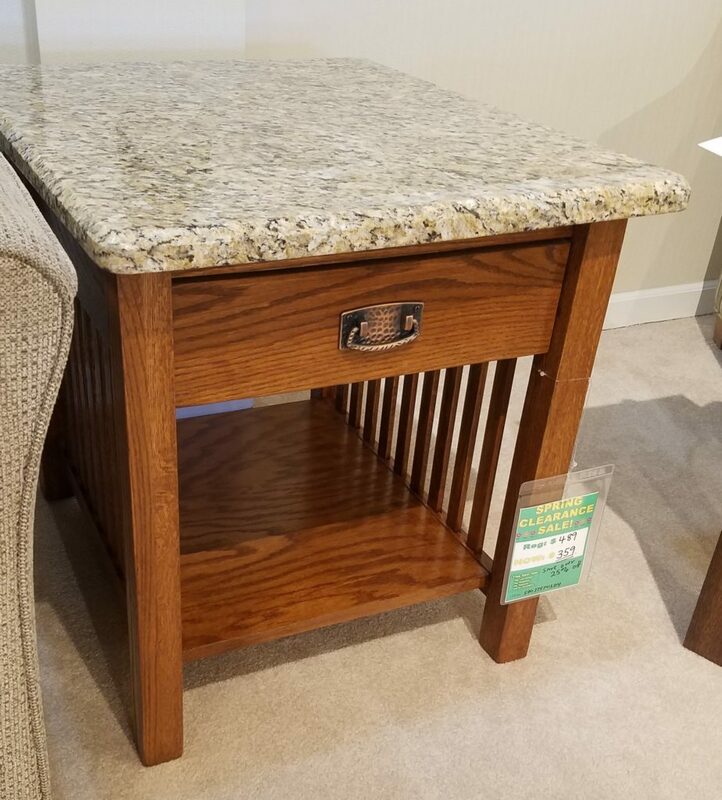 Amish Chairside Table - $219. 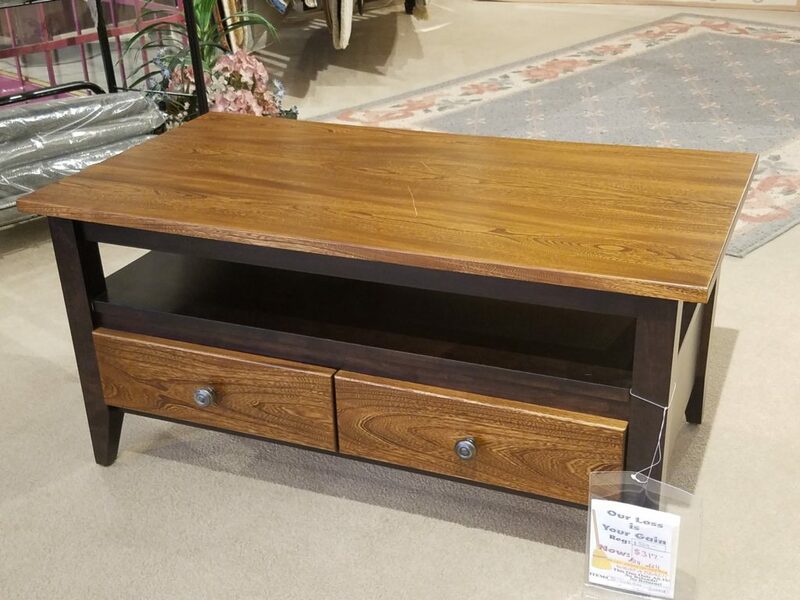 Amish Maple Console - $299. 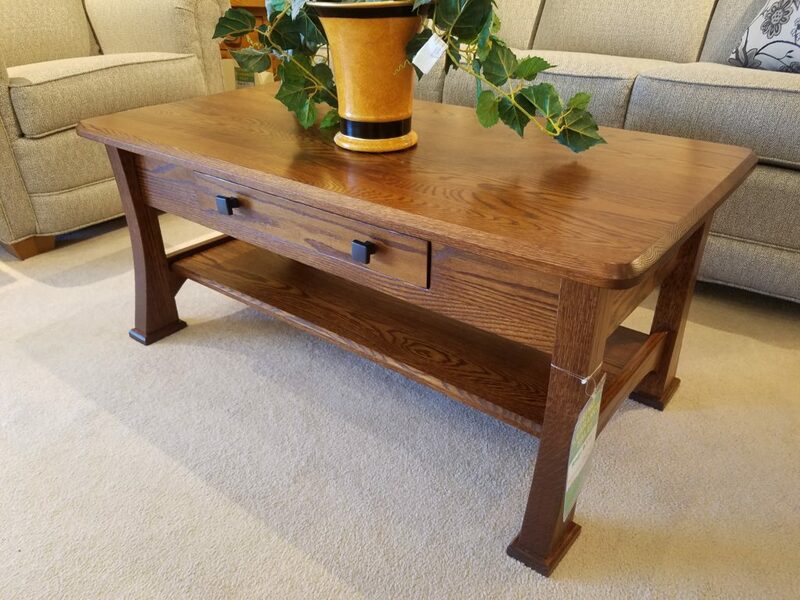 Amish Elm and Maple Coffee Table - $317. 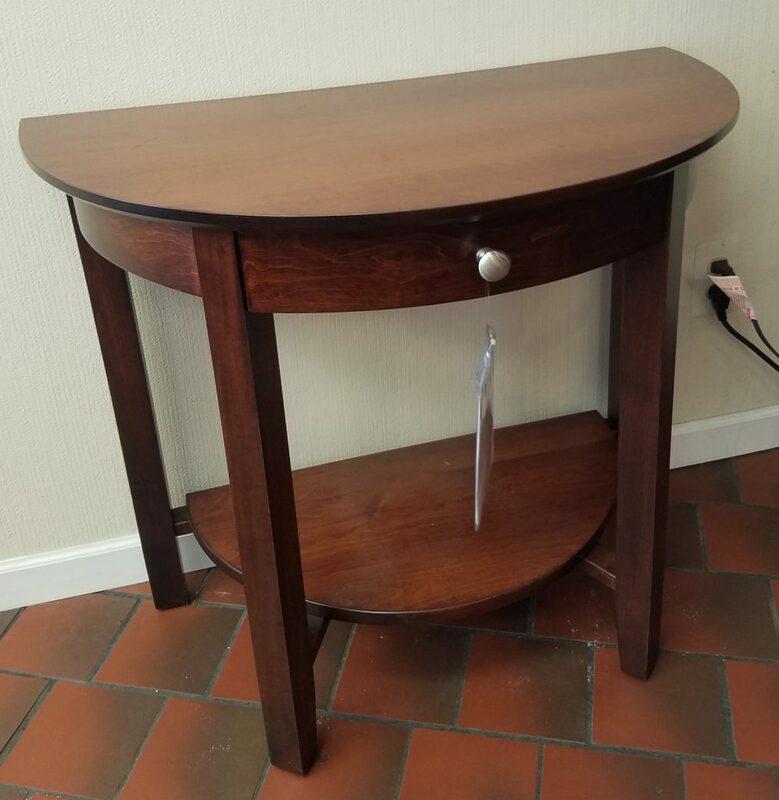 Vaughan Bassett Cherry Night Stand - $249. REDUCED AGAIN! 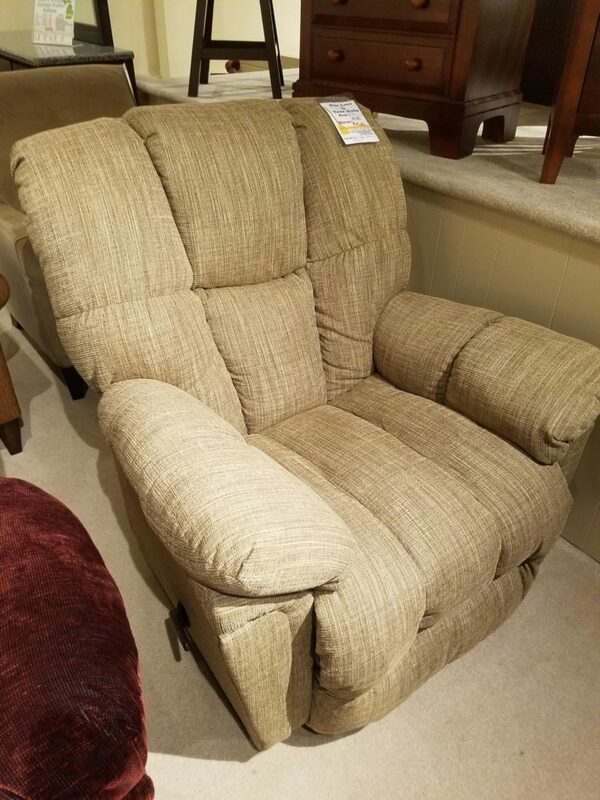 NOW $229! 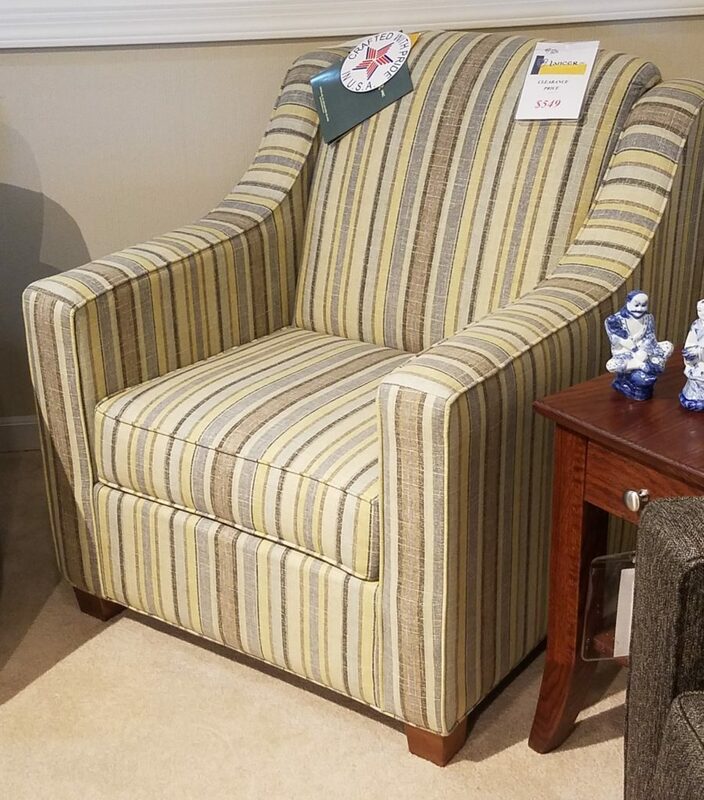 Lancer Striped Chair - $549. REDUCED AGAIN! 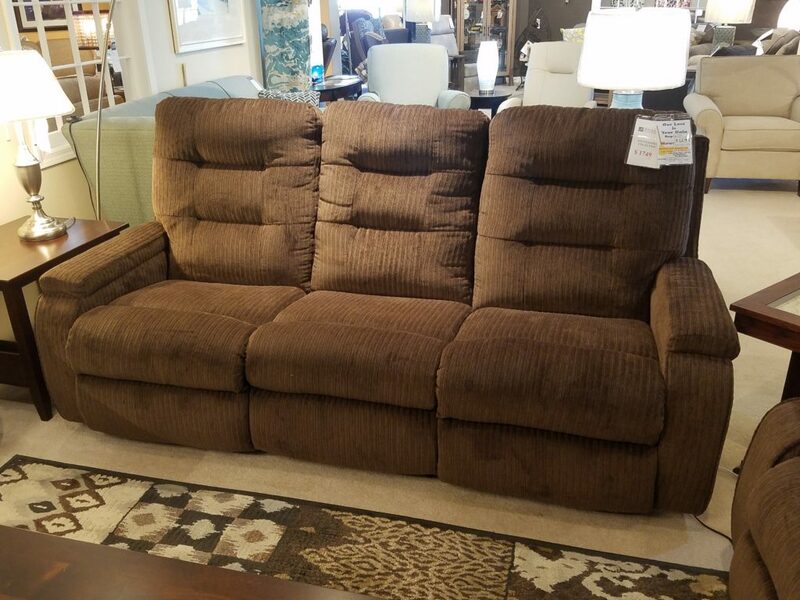 NOW $449! 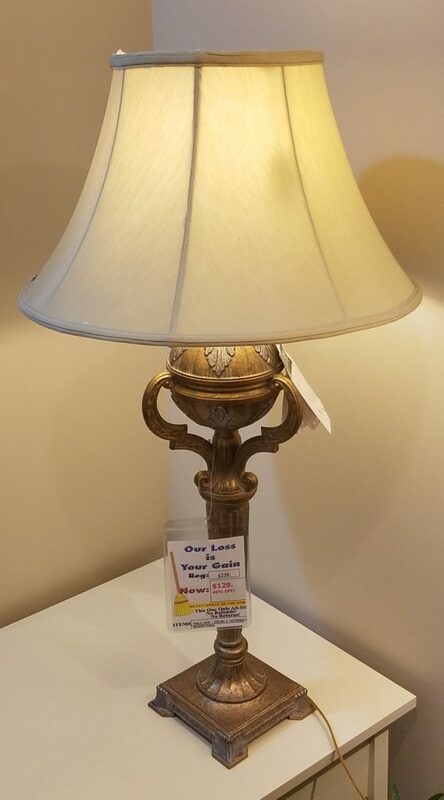 Roman Style Lamp - $129. REDUCED AGAIN! 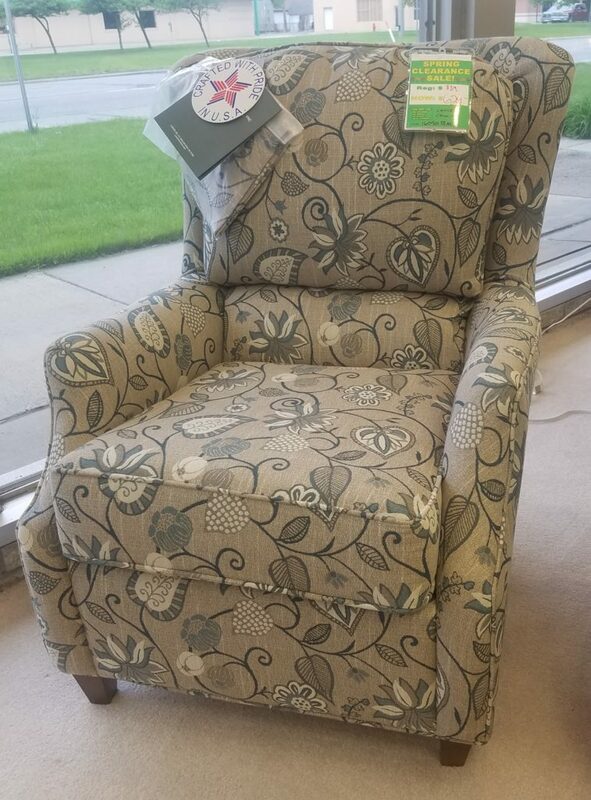 NOW $89! 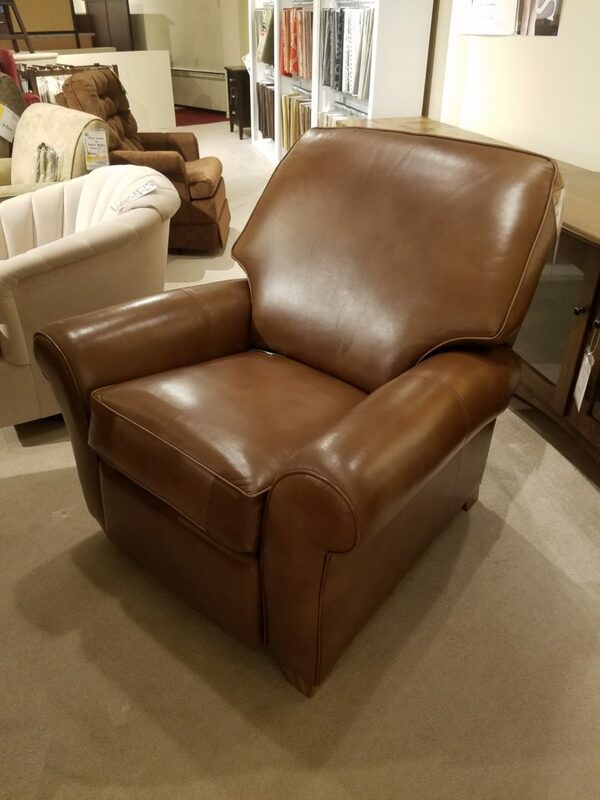 Best Brown Leather Office Chair - $928. 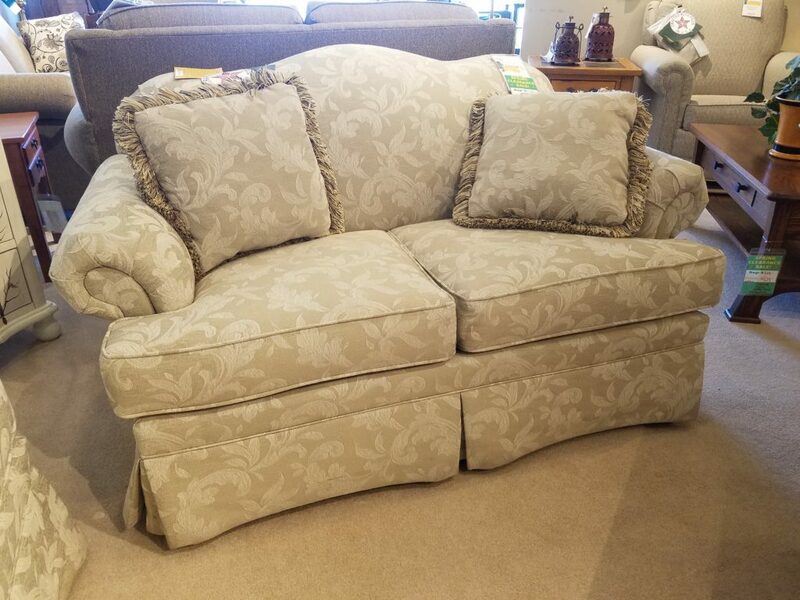 Flexsteel Kerrie Power Recline Sofa - $1199. 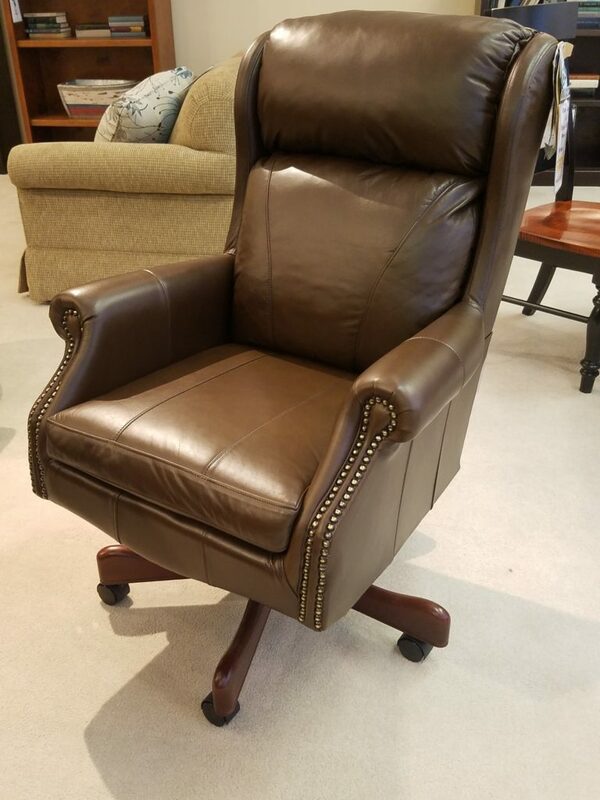 Flexsteel Thornton Power Recliner - $799. 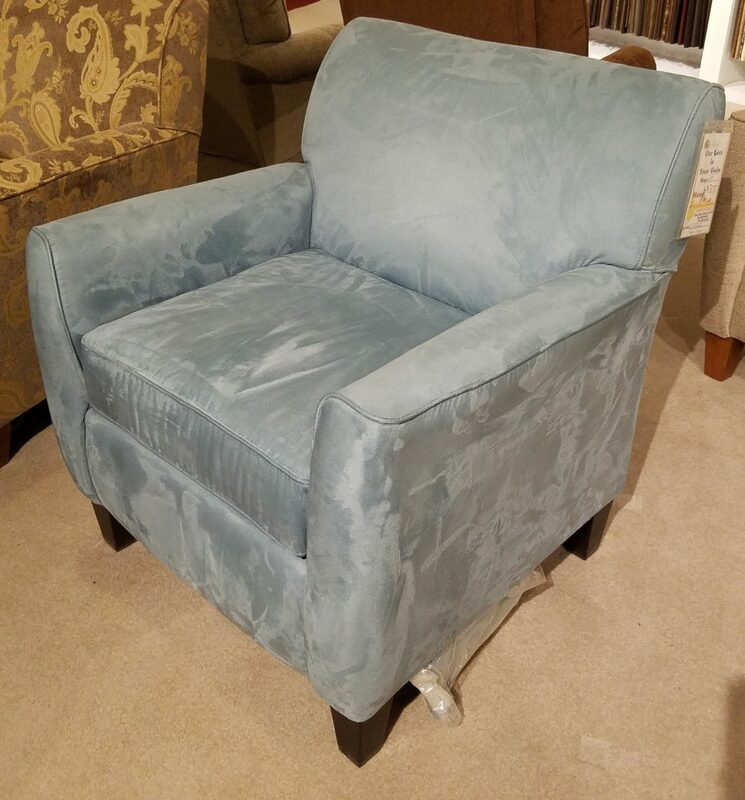 Best Aqua Chair - $305. REDUCED AGAIN! 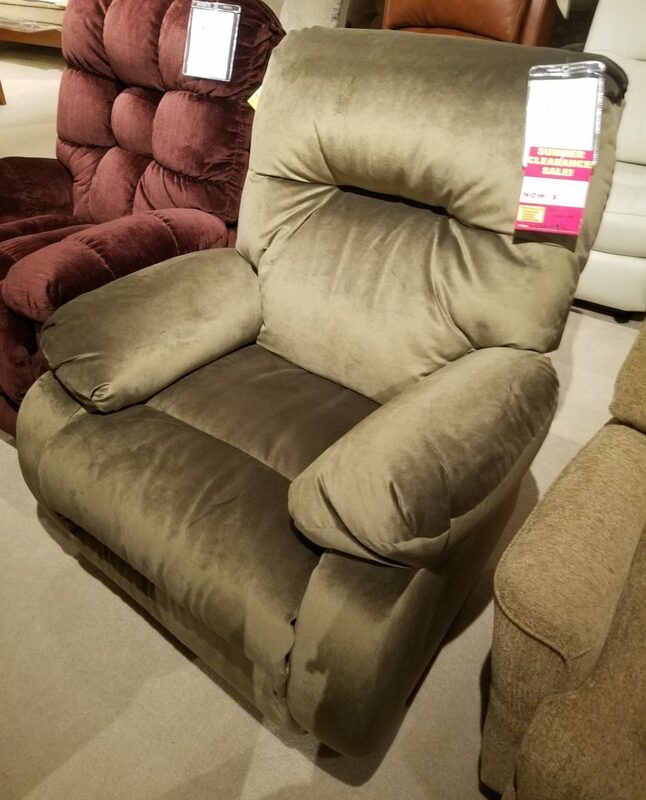 NOW $299! 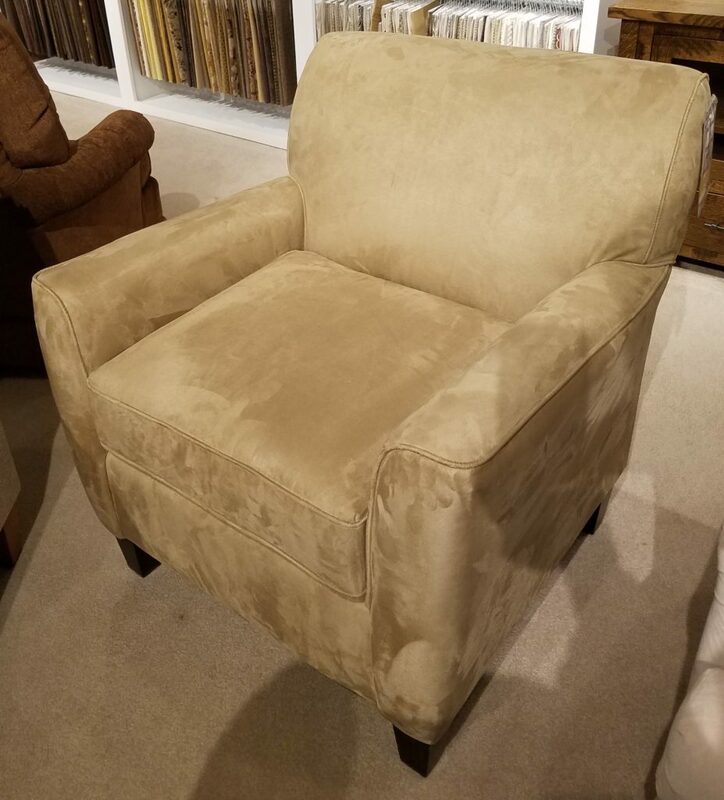 Best Microfiber Chair $305. REDUCED AGAIN! 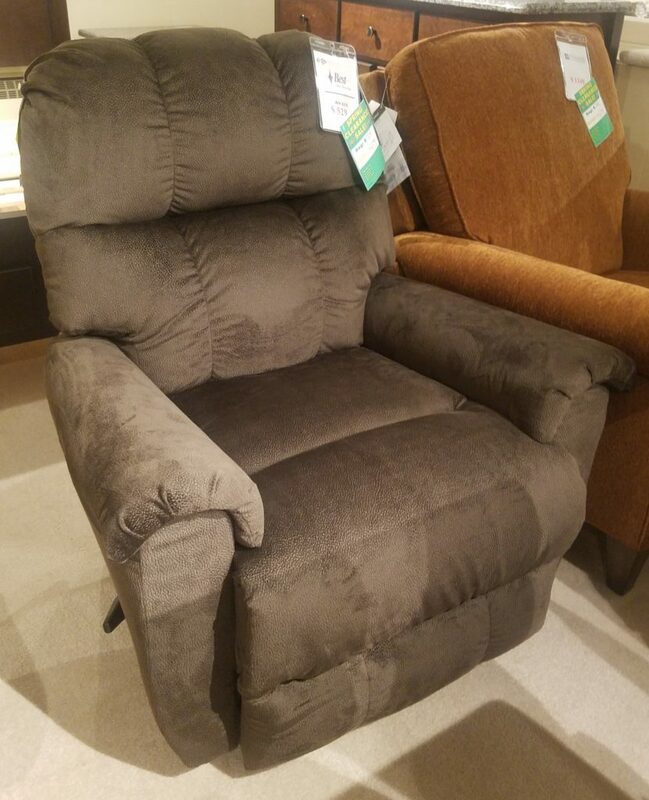 NOW $299! 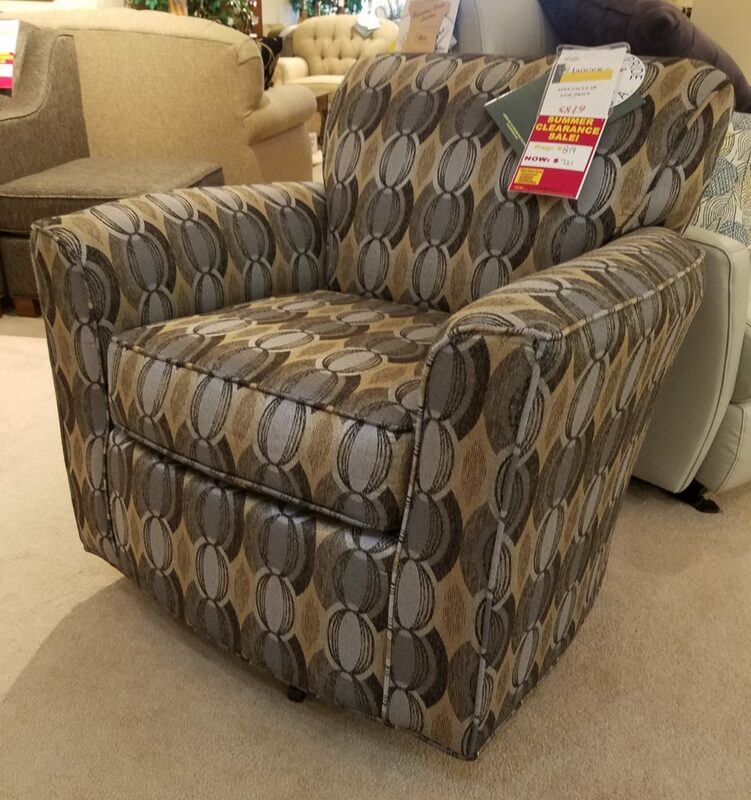 Best Swivel Barrel Chair - $269. 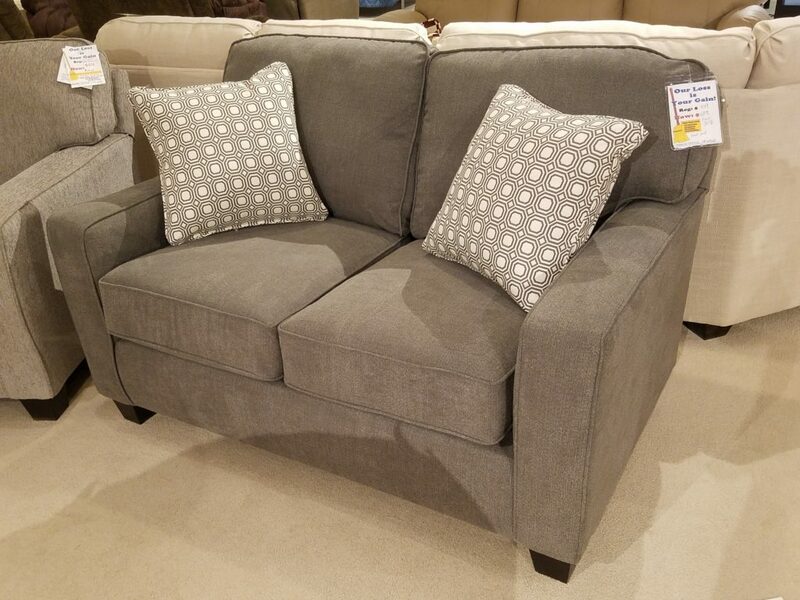 Best Loveseat - $659. REDUCED AGAIN! 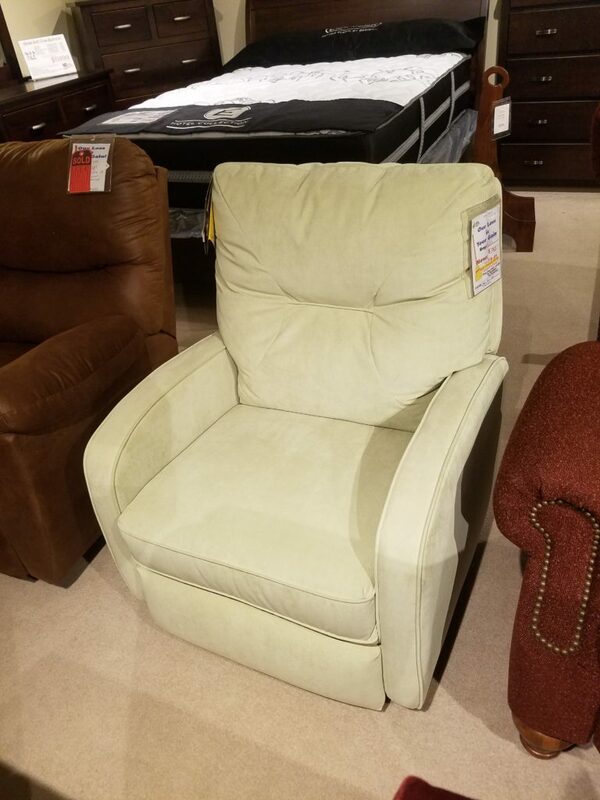 NOW $599! 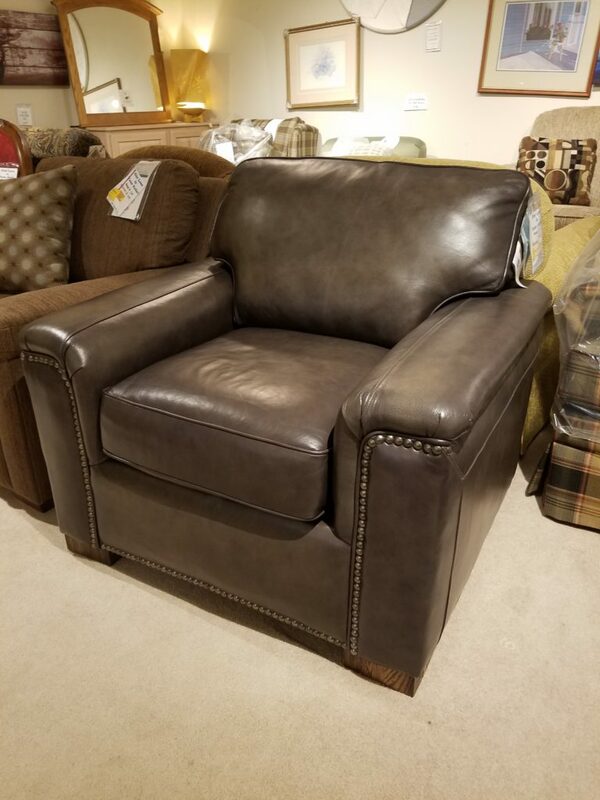 Flexsteel Grey Leather Chair - $960. REDUCED AGAIN! 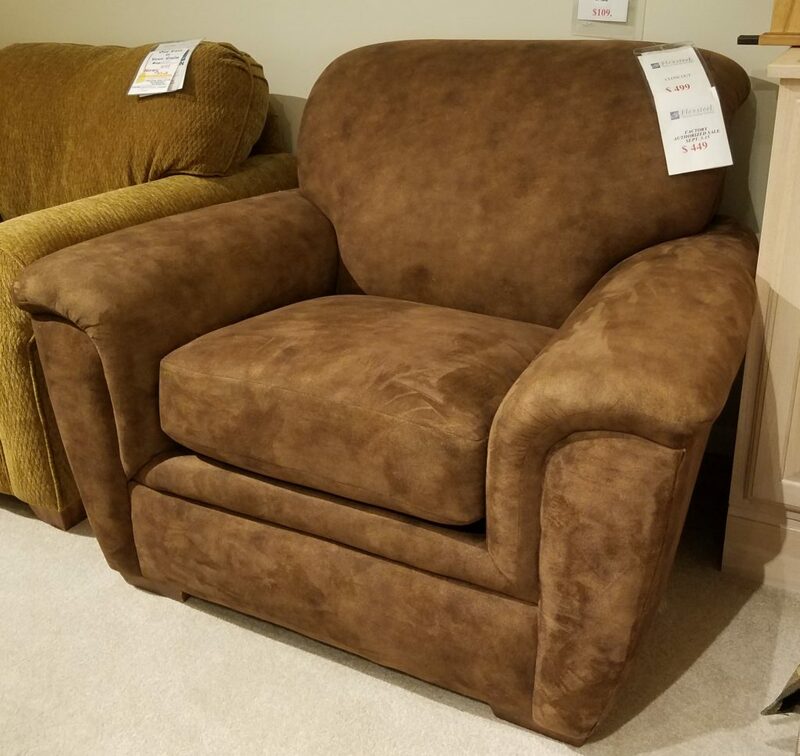 NOW $899! 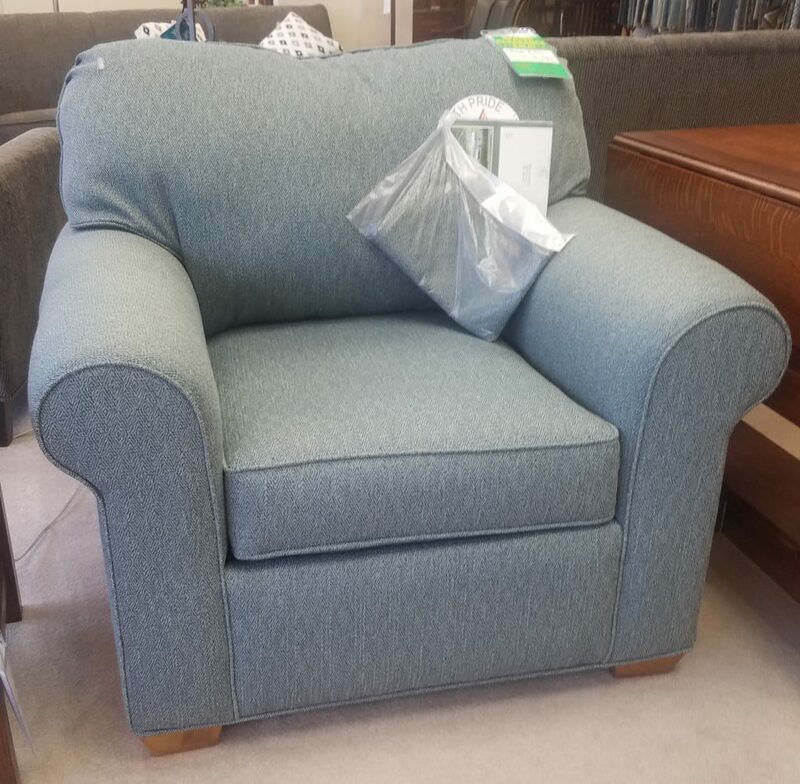 Lancer Chair - $499. REDUCED AGAIN! 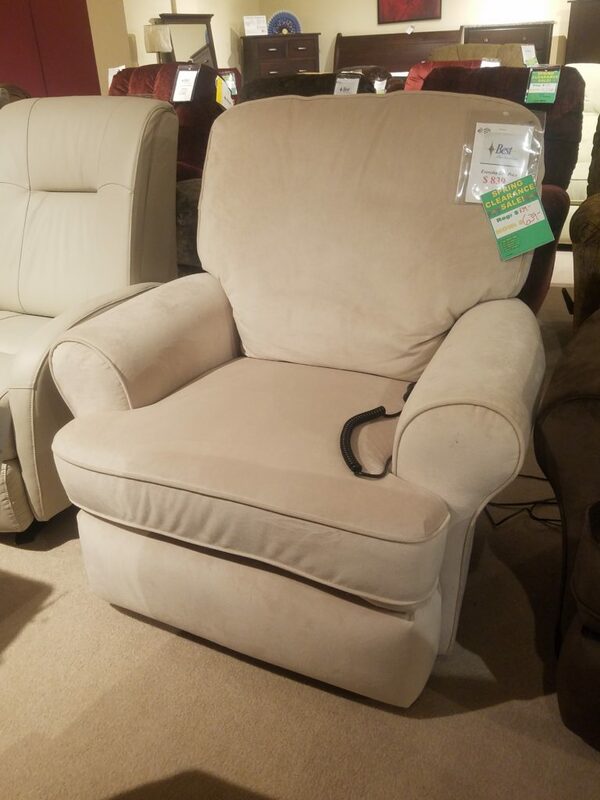 NOW $299! 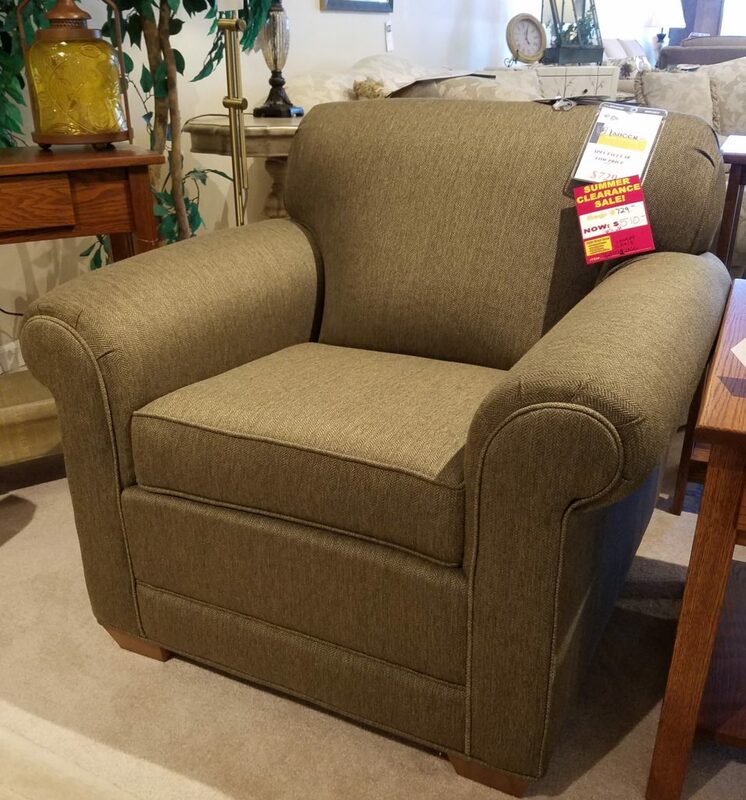 Flexsteel Chair - $489. 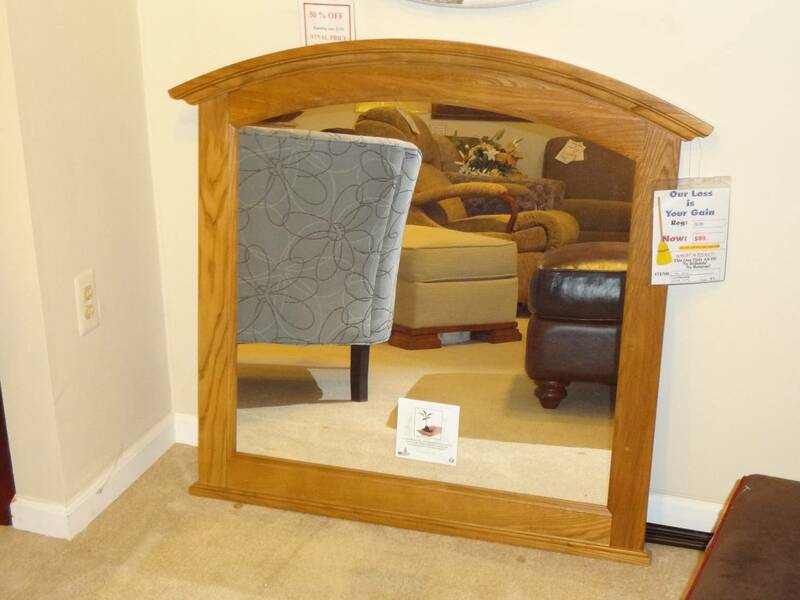 REDUCED AGAIN! 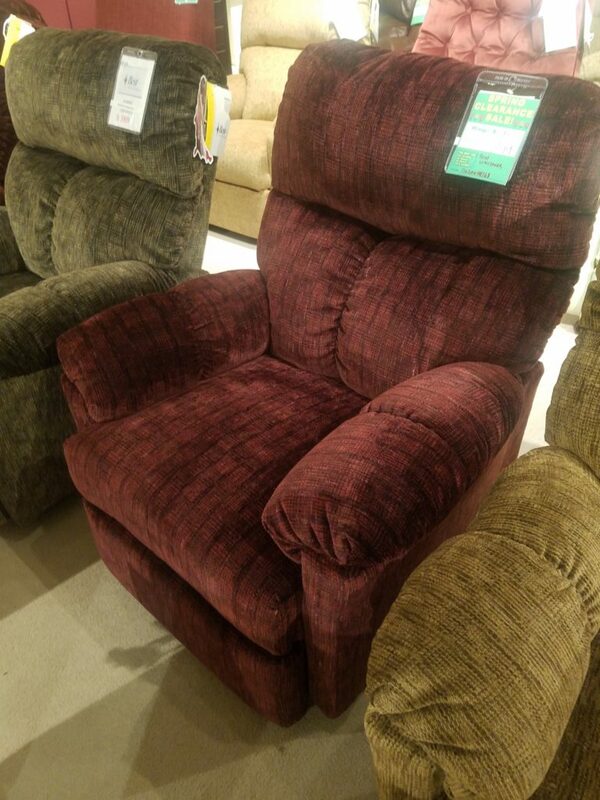 NOW $399! 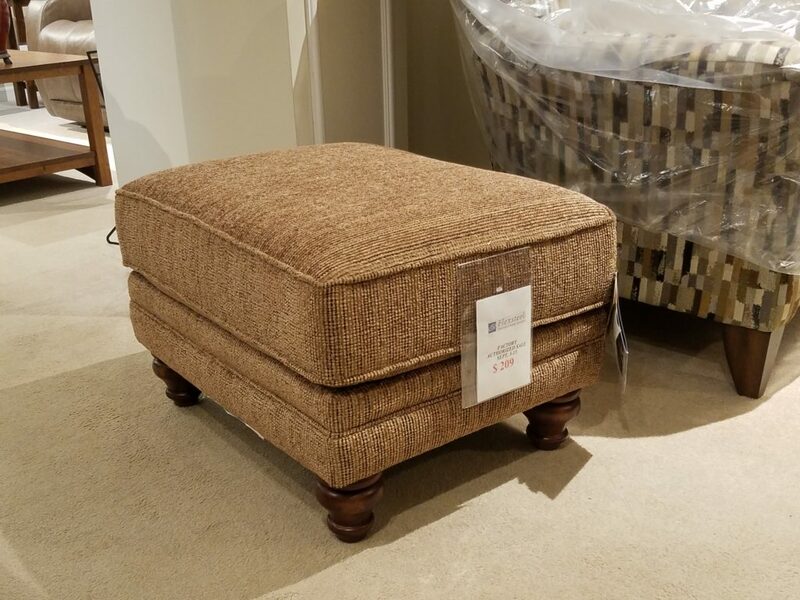 Flexsteel Ottoman - $209. REDUCED AGAIN! 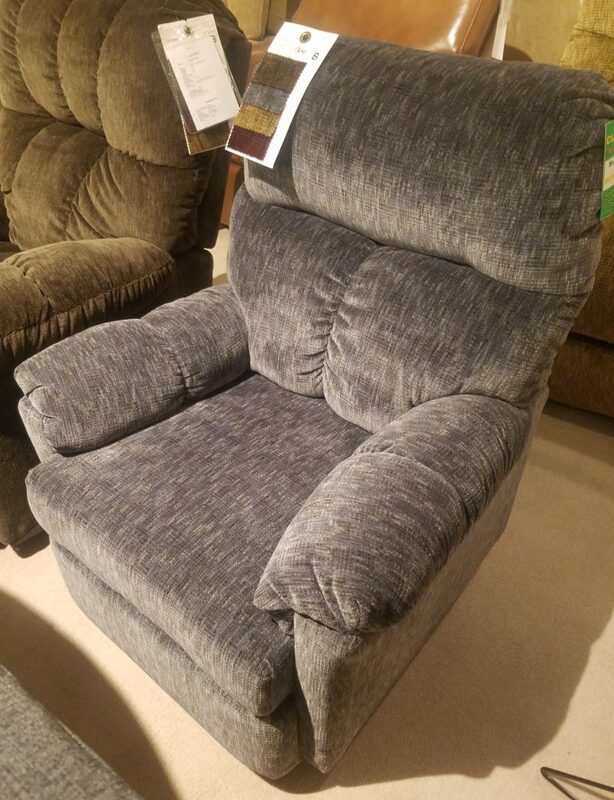 NOW $129! 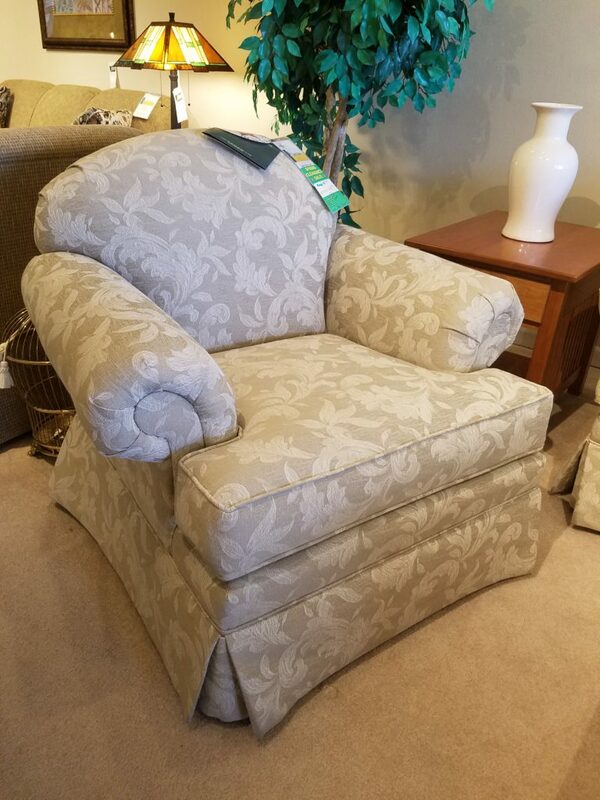 Best Vail Recliner - $915. REDUCED AGAIN! NOW $499! 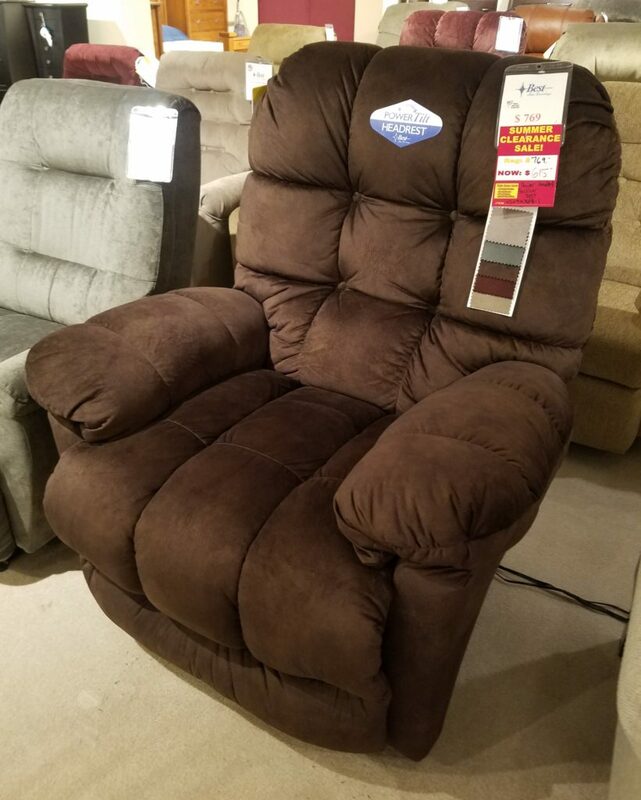 Best Body Rest Recliner $583. 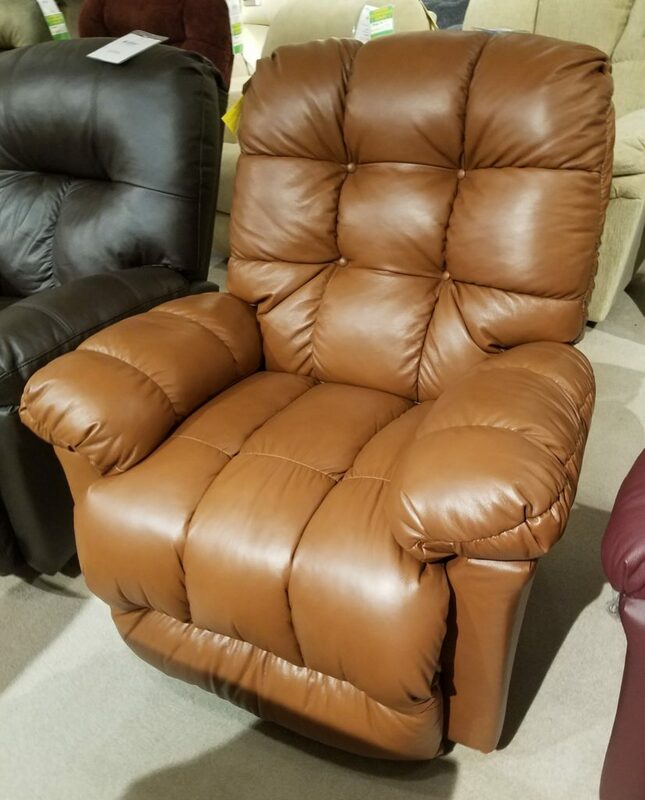 Best Mexi Recliner - $389. 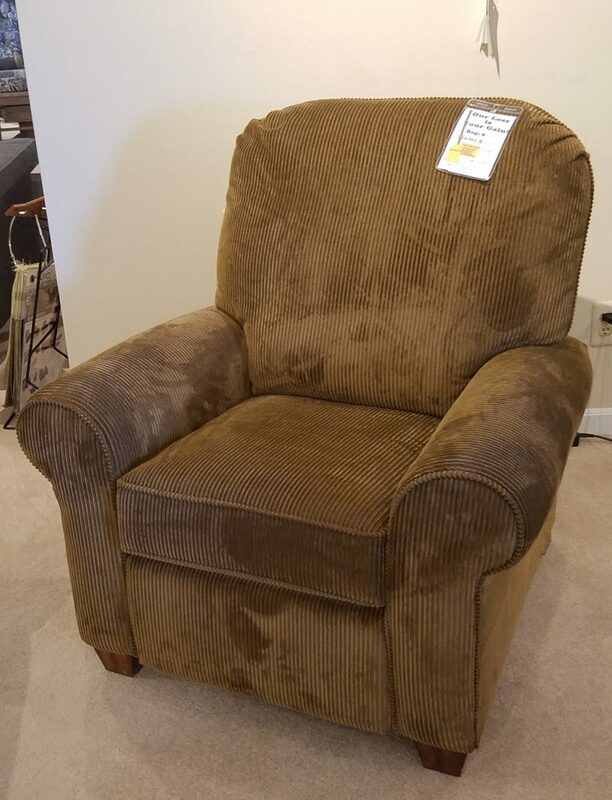 Flexsteel Brandon Recliner - $899. REDUCED AGAIN! 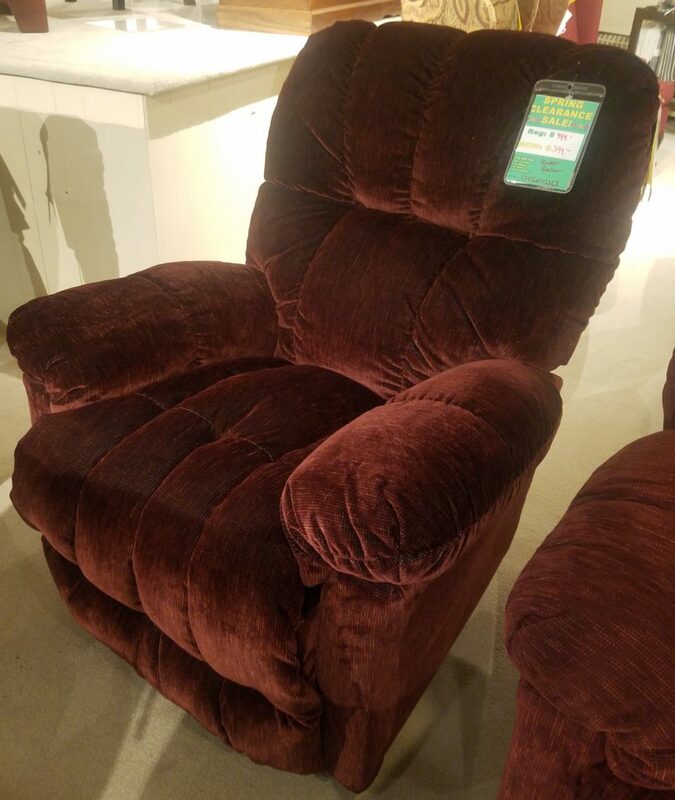 NOW $799! 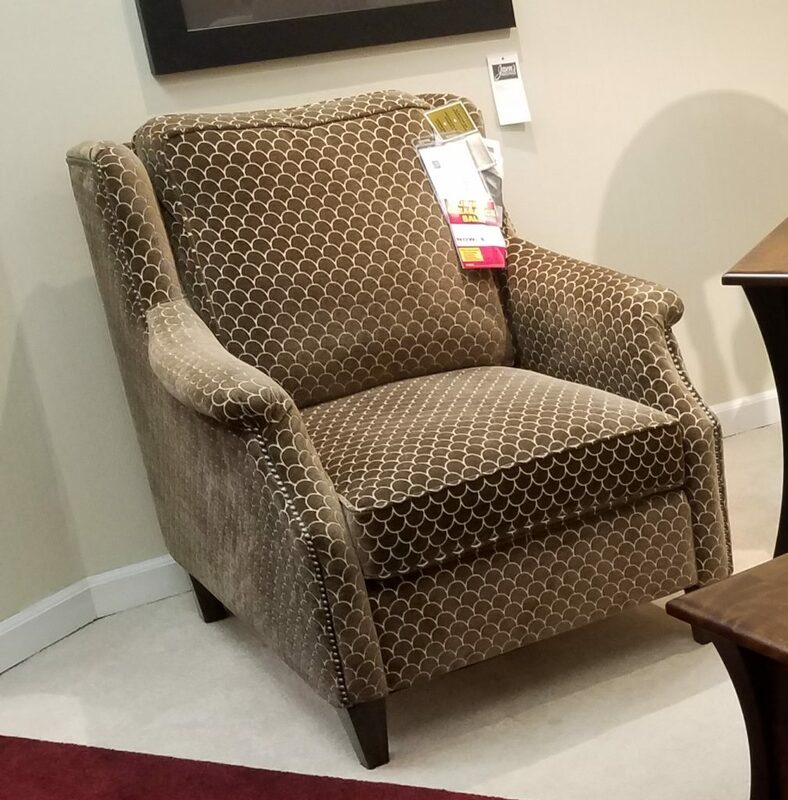 Lancer Wing Chair- $599. REDUCED AGAIN! 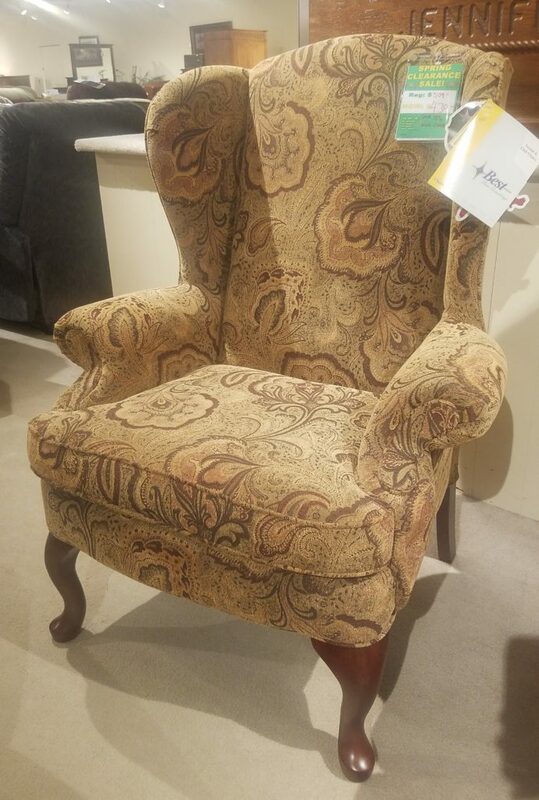 NOW $479! 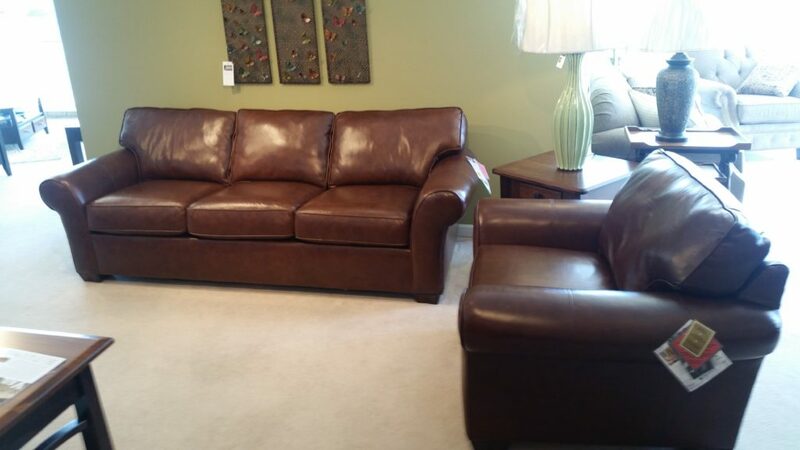 Vail Leather Sofa- $1999. REDUCED AGAIN! 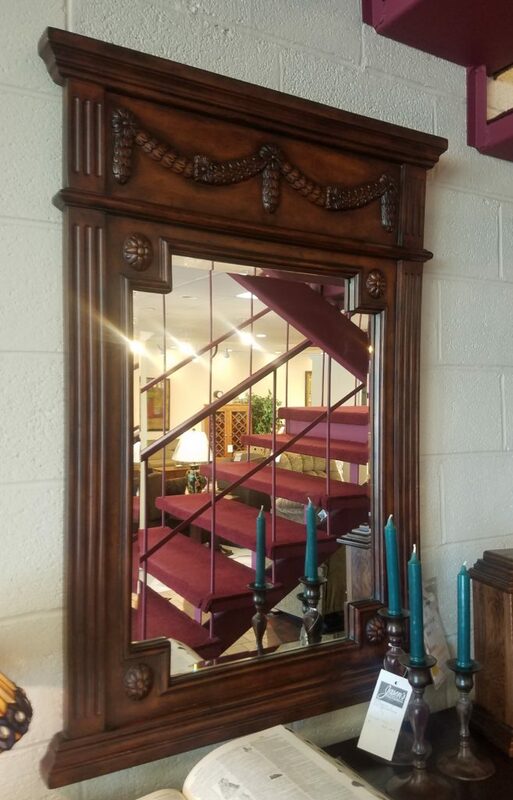 NOW $1899! 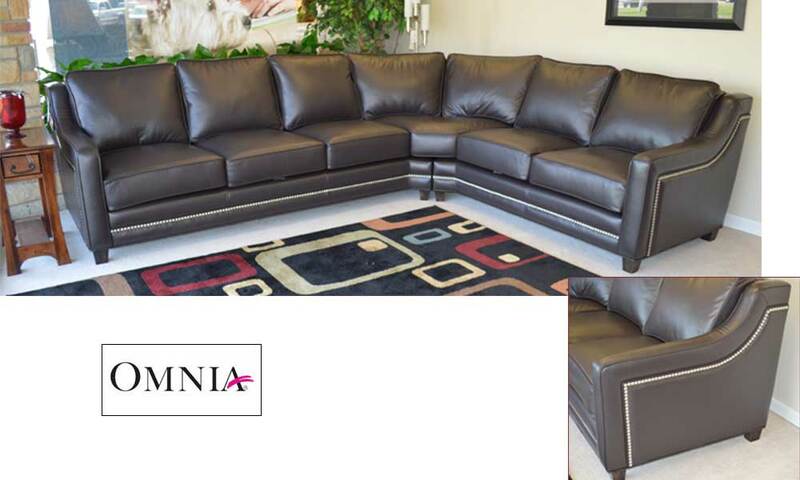 Omnia Cameo Sofa & Chair. CLEARANCE! 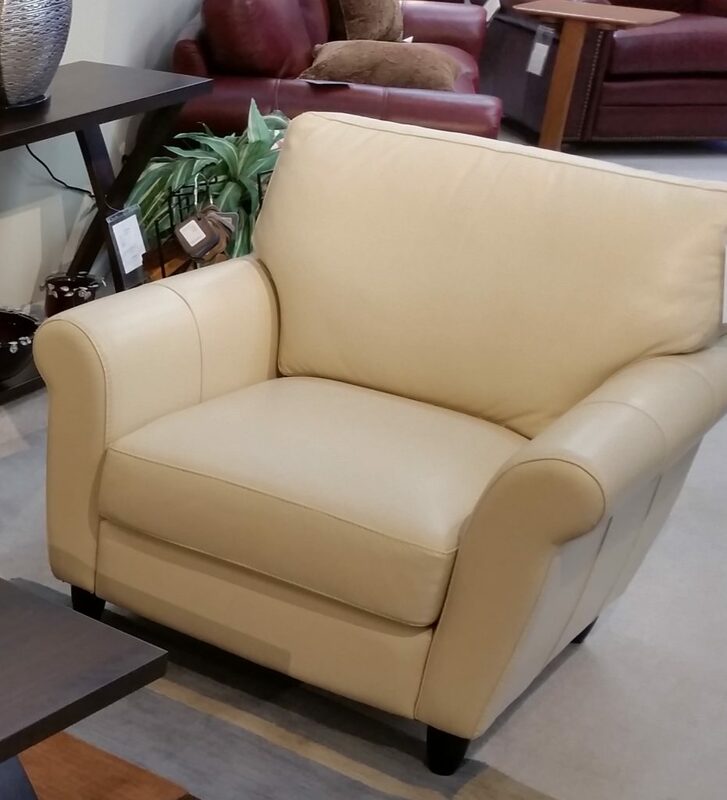 All top grain leather on all panels and made in Chino, CA. 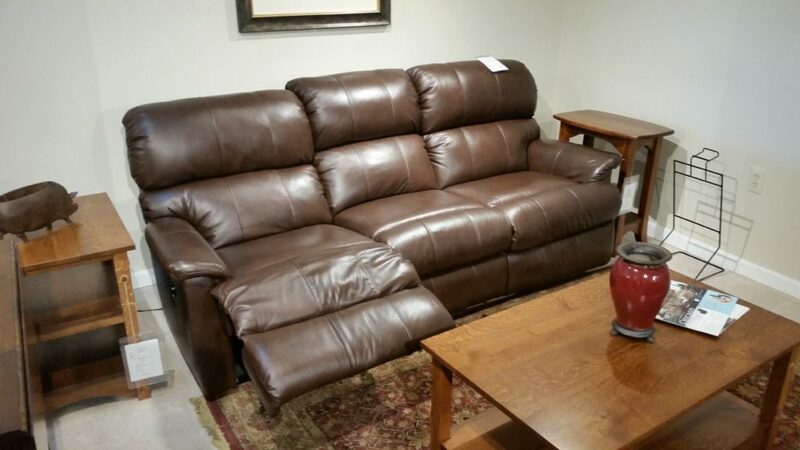 Flexsteel Chicago Leather Power Reclining sofa. Special sample closeout!! 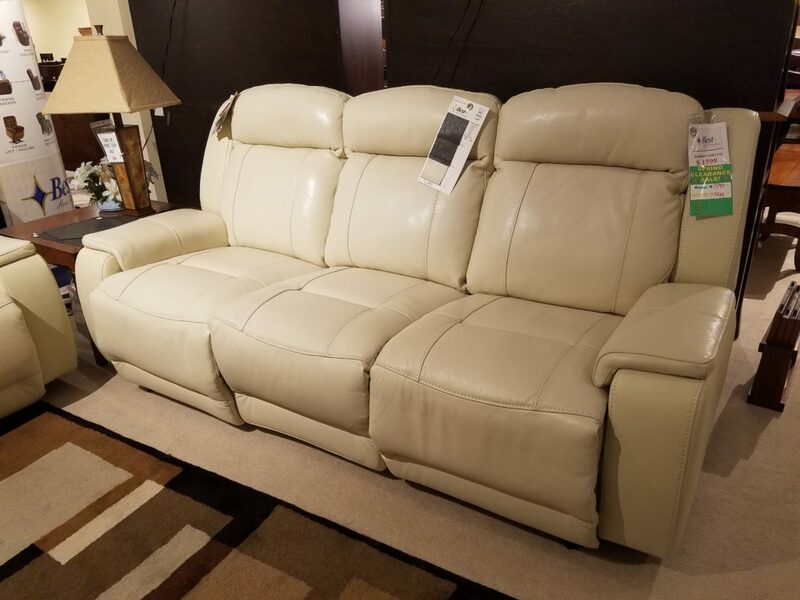 While supplies last, originally $2689, now $2017.! REDUCED AGAIN! 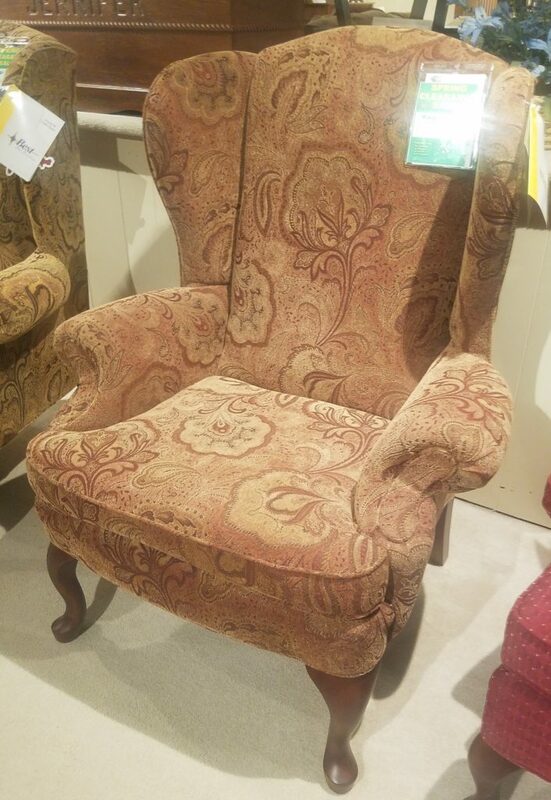 NOW $1799! 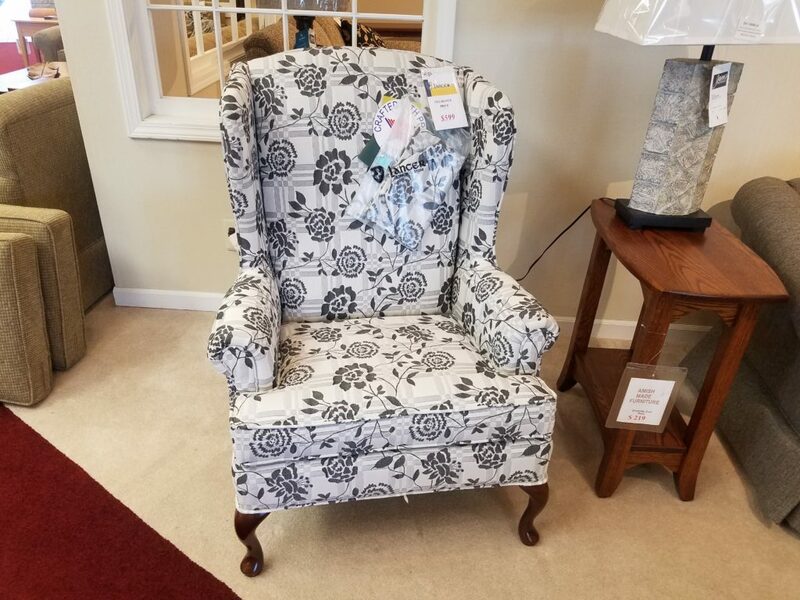 Amish Lincoln chair comes padded with designer fabric. 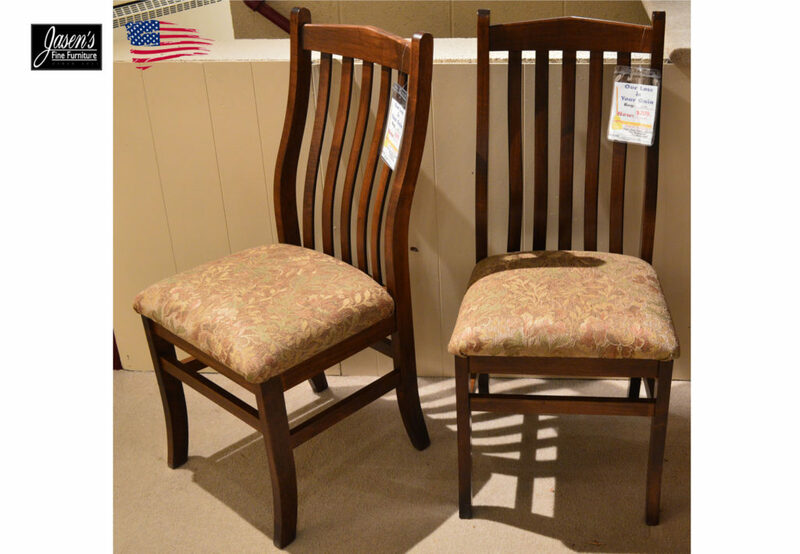 2 available, was $309.each, now $209.each!! 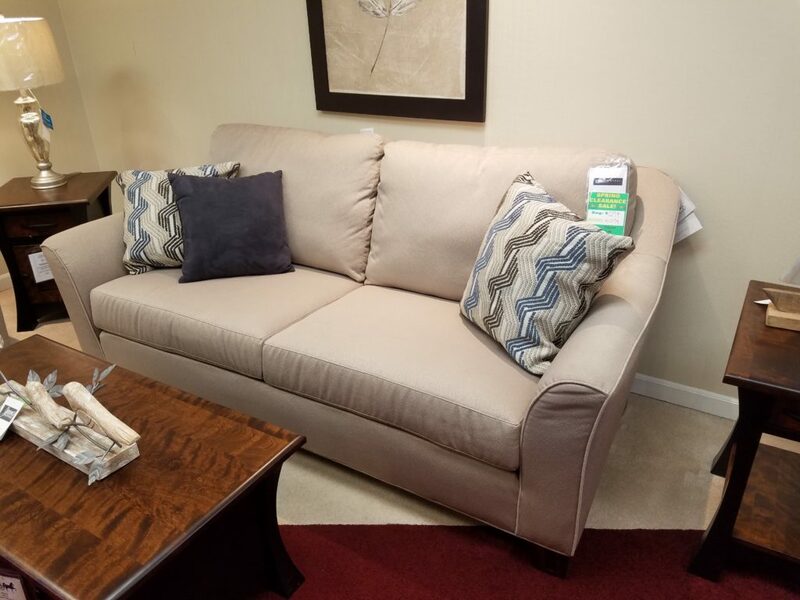 CLEARANCE- THIS SECTIONAL NOW $4079. 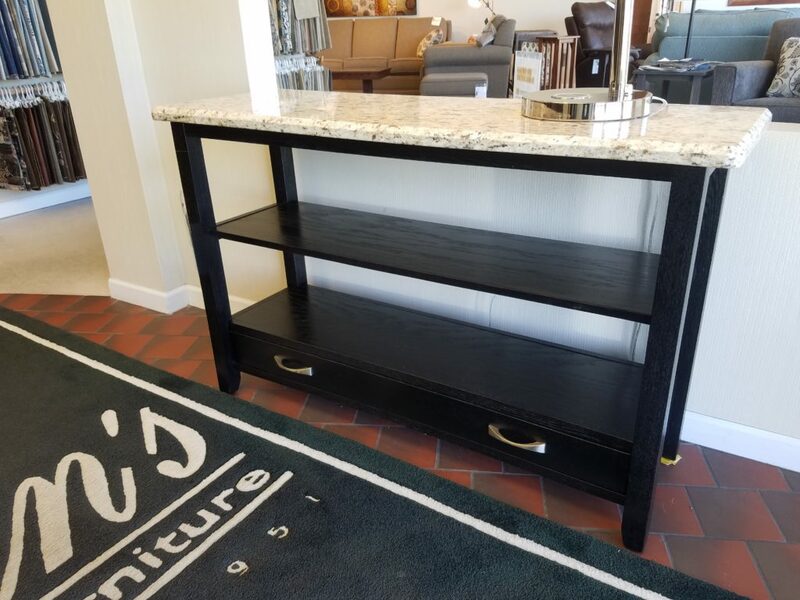 Fifth Avenue by Omnia features incredible styling with flowing track arms and nickel nail heads accenting the sides and deck. All top grain leather on all panels. 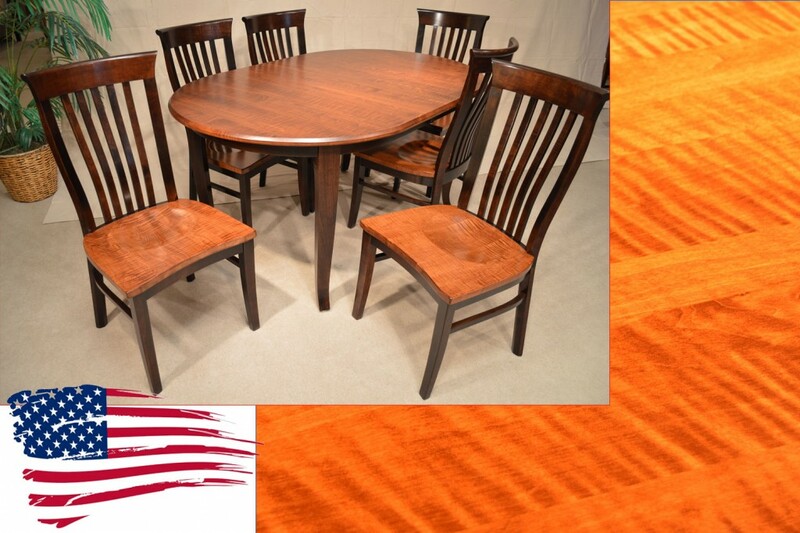 TABLE & 6 SIDE CHAIRS $2889. REDUCED AGAIN! 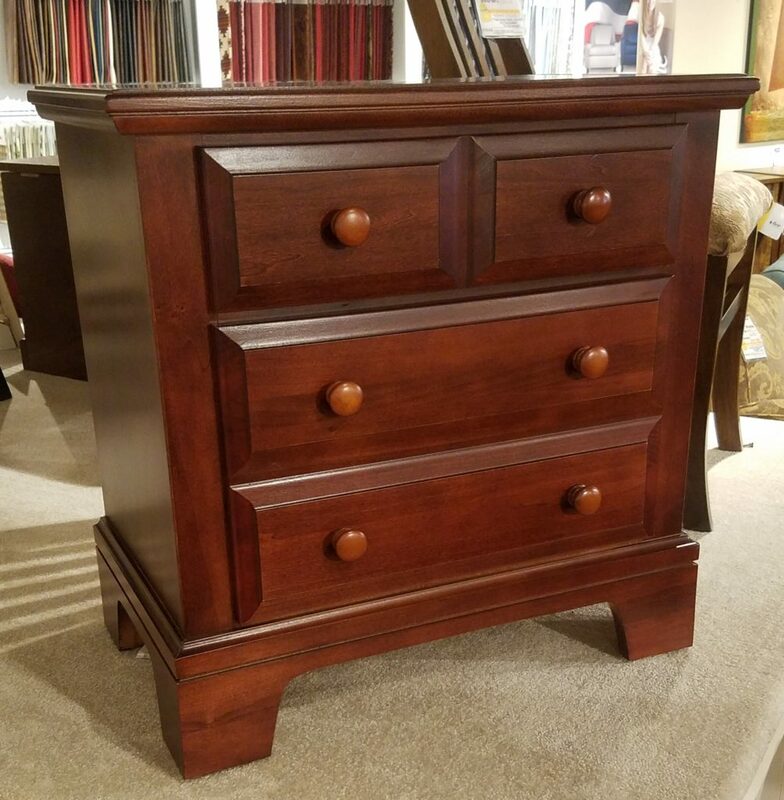 NOW $2795! 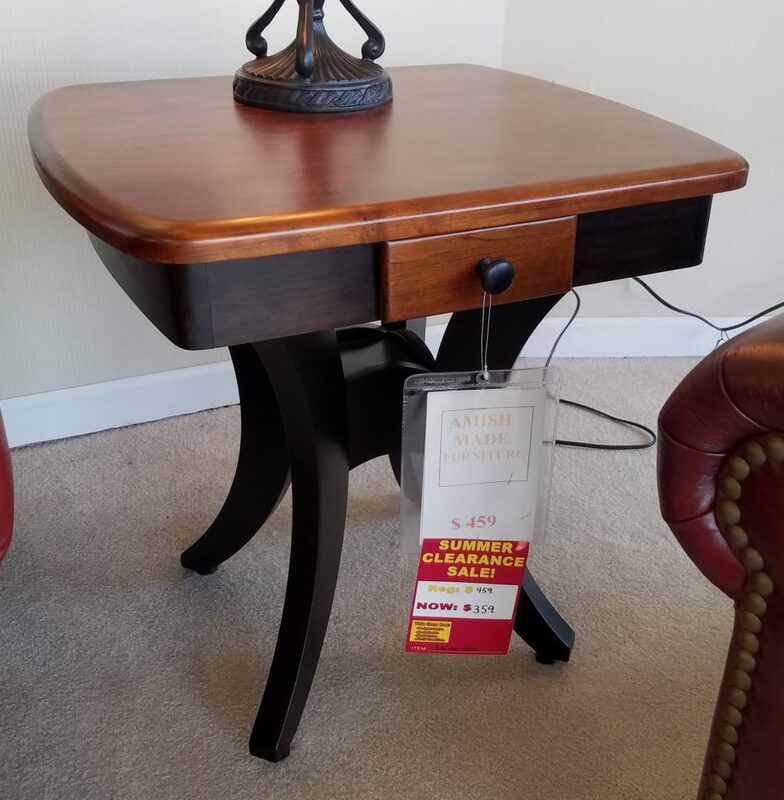 Gorgeous and simple traditional styling in this set make it a showstopper with the addition of Tiger Maple on the Dining Table Top and Chair Seats. Brown Maple with a darker stain is used on the remainder of the set to lift and enhance the natural beauty of the Exotic Tiger Maple Grain. 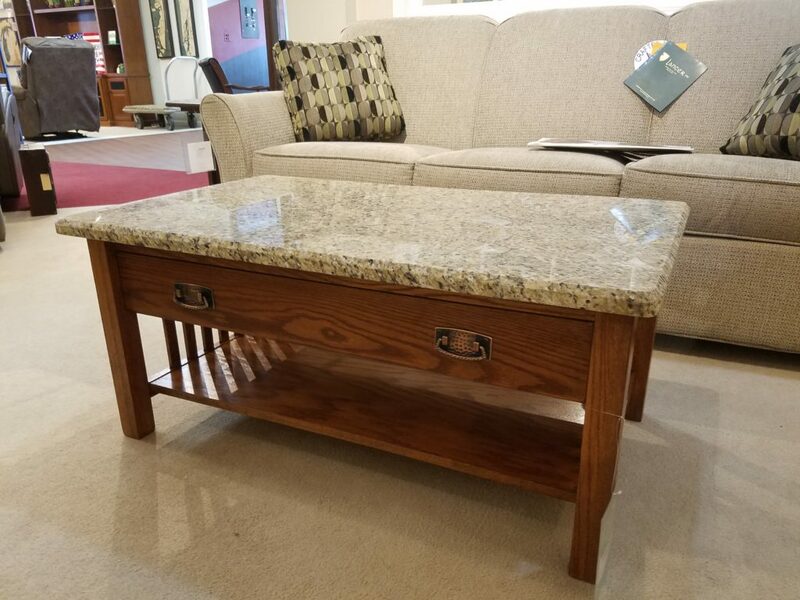 Table Sizing: 42 * 66" (extends to 77.5" with one self storing leaf). Perfect for the wall of any room. 89. REDUCED AGAIN! NOW $49!